Mate vs. Mate, State vs. State, Us vs. Food. 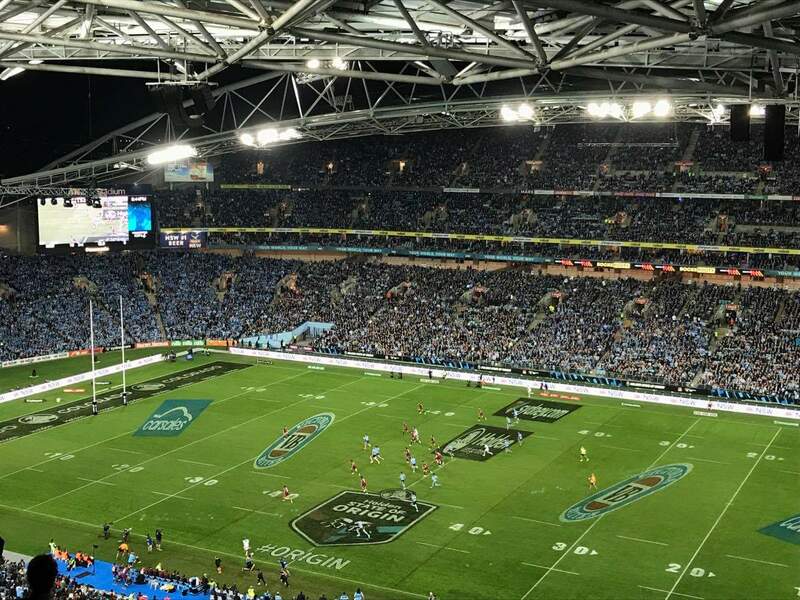 This is what we experienced as part of our pre game food and beverage package at the Novotel Sydney Olympic Park. 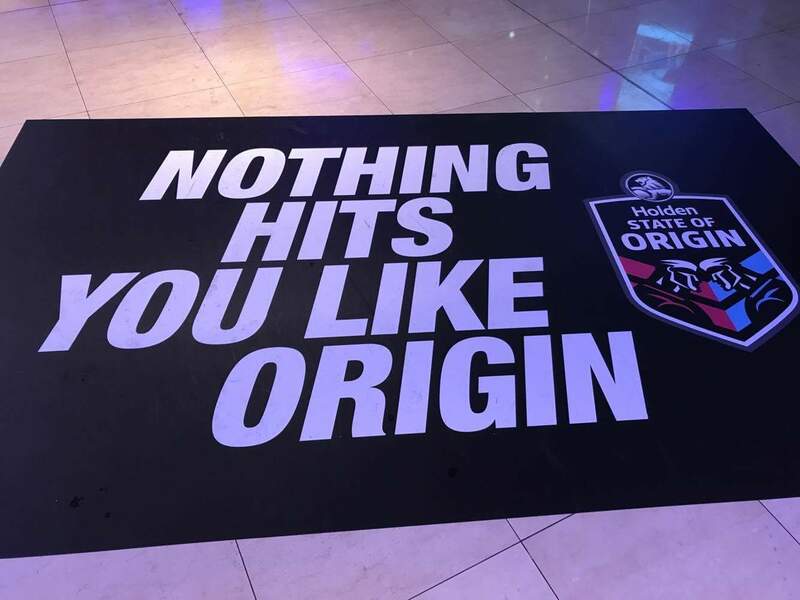 We attended the second game of the NRL State of Origin series featuring NSW vs. Queensland. 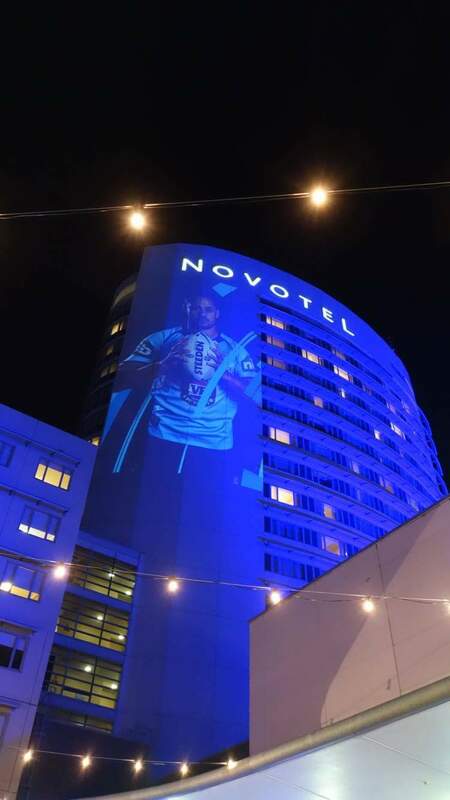 We enjoyed the pre game hospitality offered by the Novotel at the Sippery and had the opportunity to see the NSW Blues on the way to the big game. 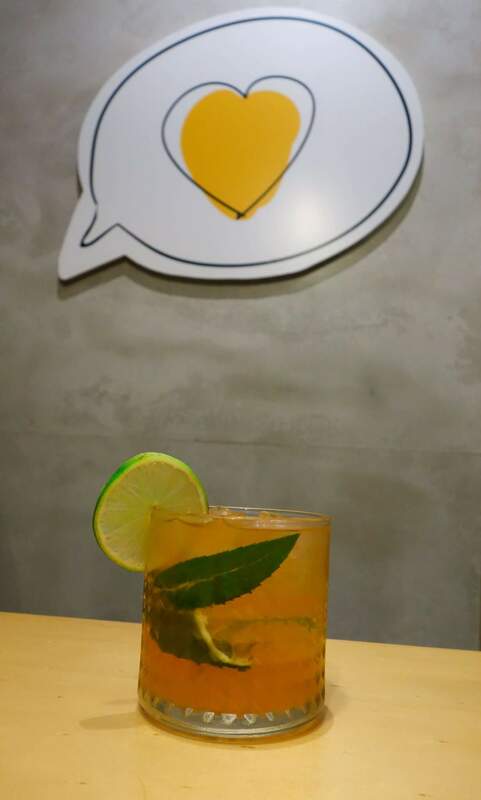 The Novotel hosts an event prior to the game called the Sippery. The Novotel opens up the bar in the foyer, it also has pop up bars as well as food stalls set up in the driveway. Your ticket includes a wristband for pre game food and drinks, with plenty of bars to choose from, allowing you to get your drinks quickly with out having to line up. With beer on tap, Canadian Club, Smirnoff cans and more, certainly enough to prepare you for the big game. 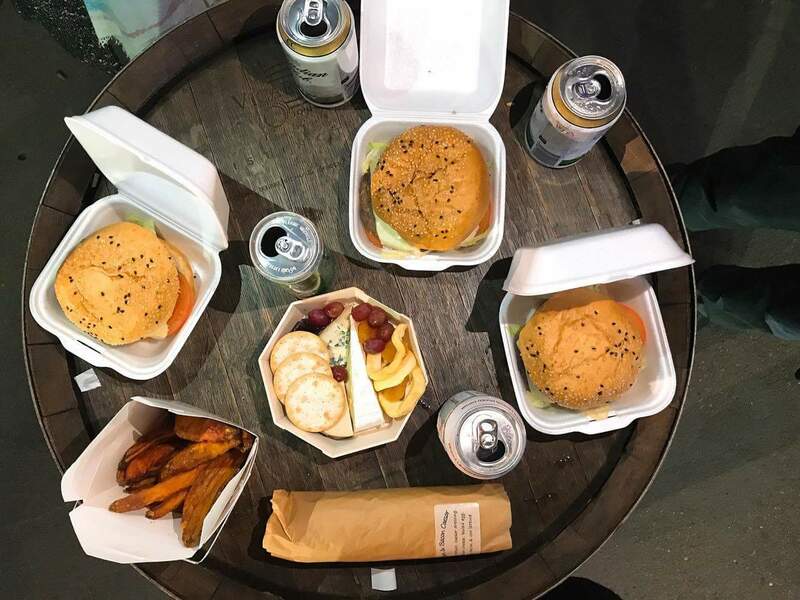 The pop-up food stalls were selling a great range of pre game food options including; burgers, salt and pepper squid, Caesar wraps, cheese platters and sweet potato fries. We share one of each and there was certainly a good range to suit everyone. 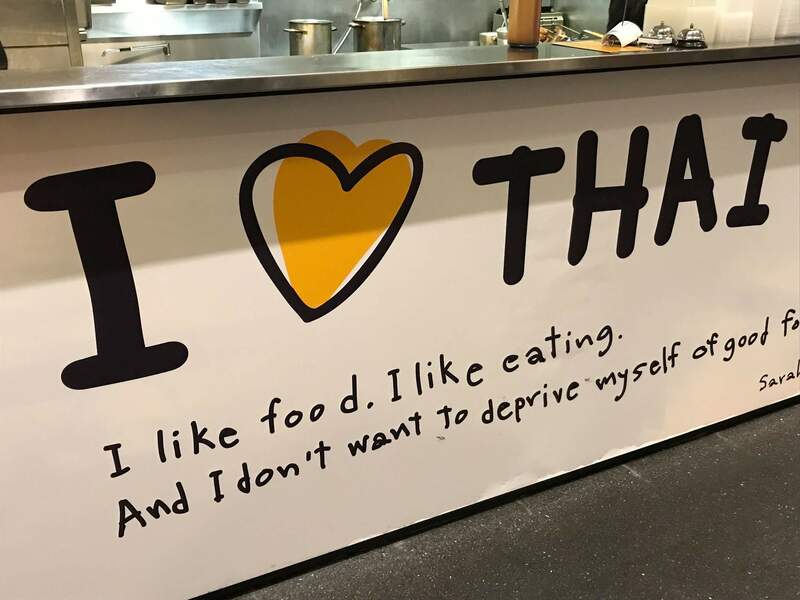 The food is priced between $8 and $15, much more reasonable than some of the food outlets in the ground itself and quality food too! The Big screens in the venue were playing game footage from the past as a warm up for what was to come. Being in New South Wales the area lit up with the right colour-BLUE. 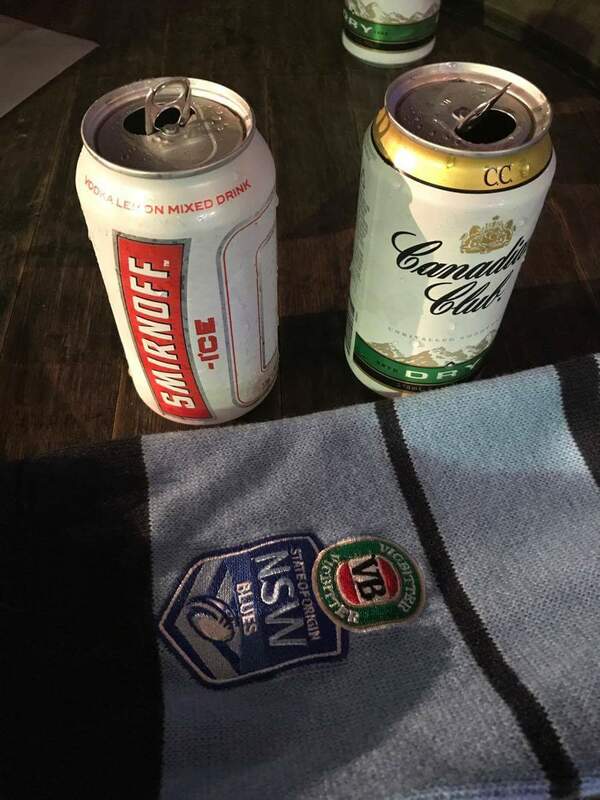 This along with some passionate New South Wales Chants had us pumped and ready to cheer on the NSW Blues. Inside the foyer, a DJ busting out some quality tunes to hype us up for the game ahead. Well and truly inspired, we headed off to the game full of food and excited to take in the gladitorial spectacle that is State of Origin. Unfortunately our Blues lost the game, but we did have a fun night and enjoyed the atmosphere. 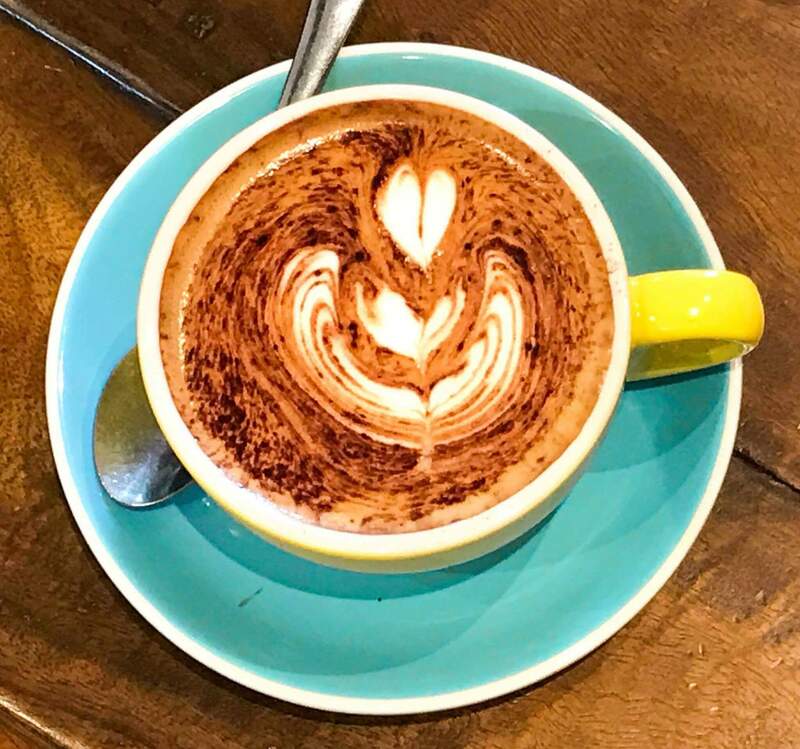 Keep an eye out for the Sippery and other entertainment offers from Accor and the Novotel, when visiting Olympic Park for an event. Their hospitality along with the food and beverage offers will ensure you have a great time, even if the result doesn’t go your way. Thank you to Zomato for the invitation and to Novotel and Accor hotels for running this great event. 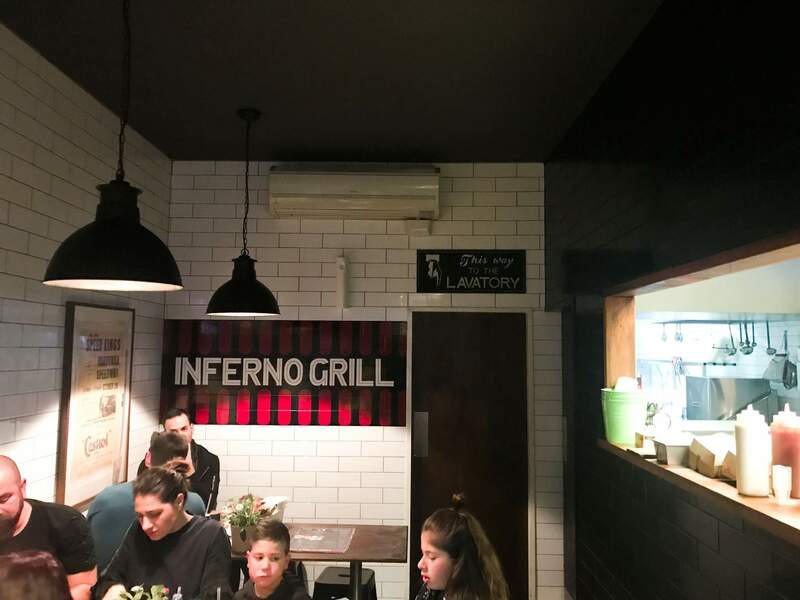 Inferno Grill at Maroubra Junction gives you an option to dine in or take away and also has a couple of tables outside. A great place to enjoy a casual meal with prompt service. 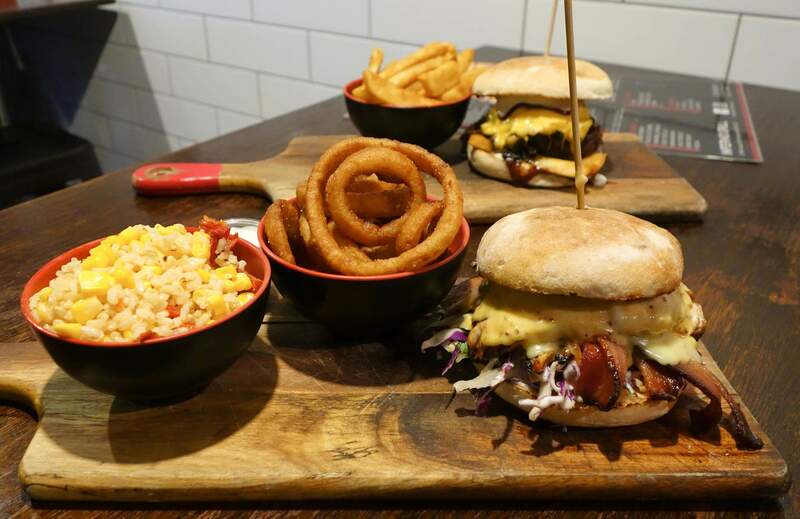 Inferno is a licensed venue offering a great range of alcoholic beverages to accompany your meal including a good range of beer, which is perfect when smashing or trying to smash one of their burgers. 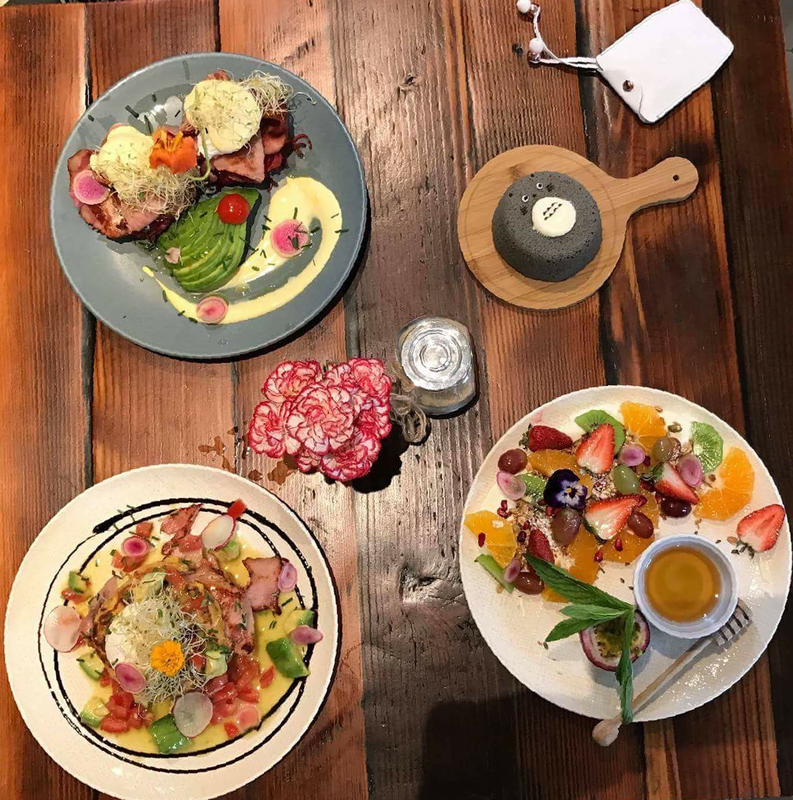 The menu exhibits a magnitude of choice with crazy high burgers, loaded shakes, gelato, salads, and as the name suggests items from the grill including steak, chicken and fish. The burgers here are huge, make sure you bring your appetite. 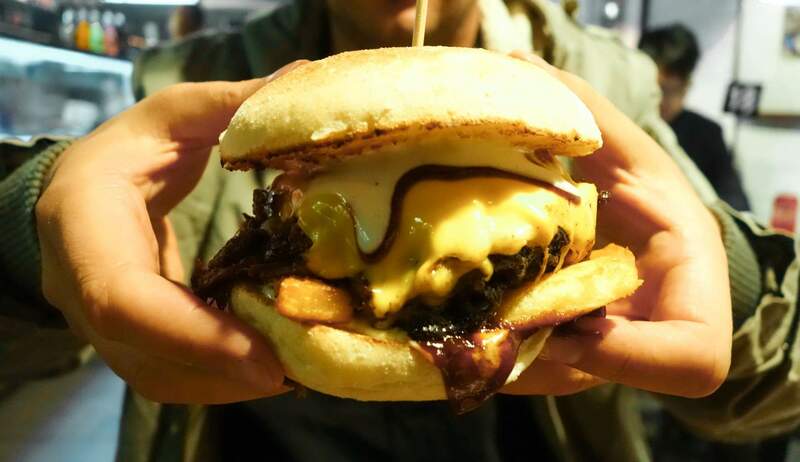 The lord of the fries was a monstorous stack made of some mouthwatering slow cooked pulled beef marinated in a southern style smokey BBQ sauce, with some thick cut chips and a solid serve of melted cheese. This was ordered as a combo and came with a side of their thick cut chips, some of the best we have had. If you prefer onion ring to fries you can order the lord of the rings burger. 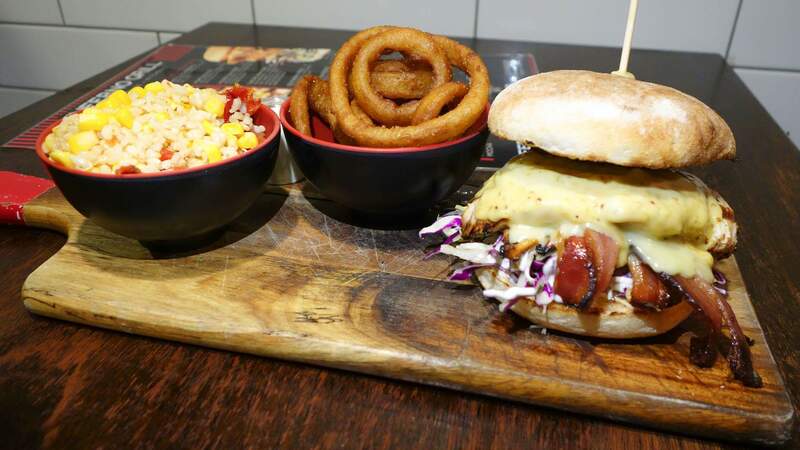 The chicken burgers are some of the best going around with a favourites being the clucking pig: a fried chicken boheimeth and the honey badger, a tasty grilled chicken burger assembled with slaw and a flavoursome honey mustard sauce. We also shared a salad: brown rice with corn kernels and sun dried tomato a good option if you are after something healthy to eat. We could not go past their loaded shakes with the Caramello Koala grabbing our attention. 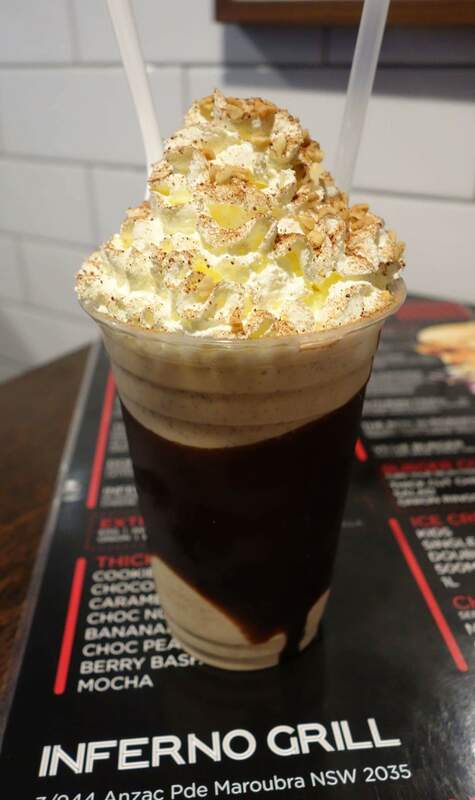 Being a fan of the chocolate, this shake was a must and it did not disappoint. As mentioned, the servings are very generous and this shake could be considered a meal in itself. We thank inferno for their hospitality and for their vision in creating some solid burgers and shakes. Thanks to the guys at ompty media for sending us in, we will be sure to return. 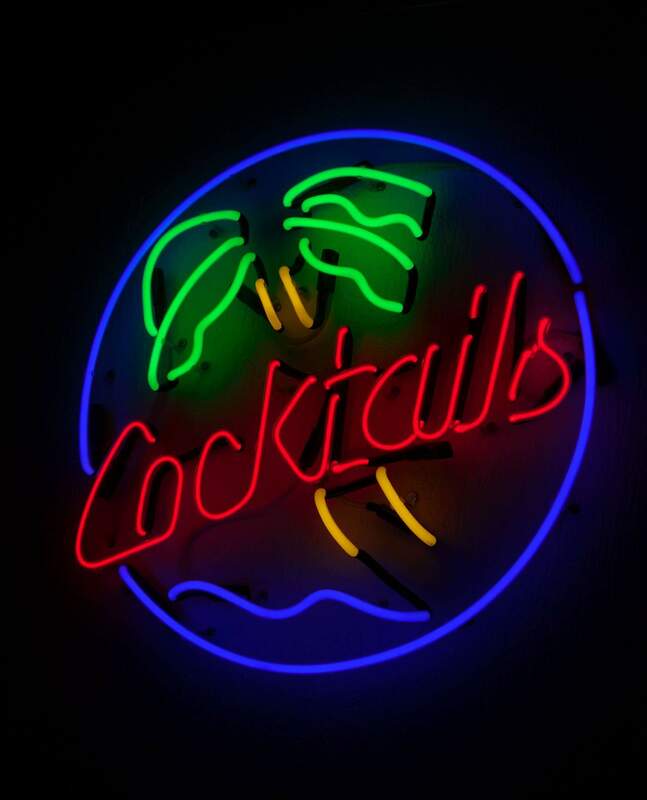 Palm beach, St Barts, The Hamptons, St Tropez: all places that would come to mind when you walk inside East Coast Lounge. 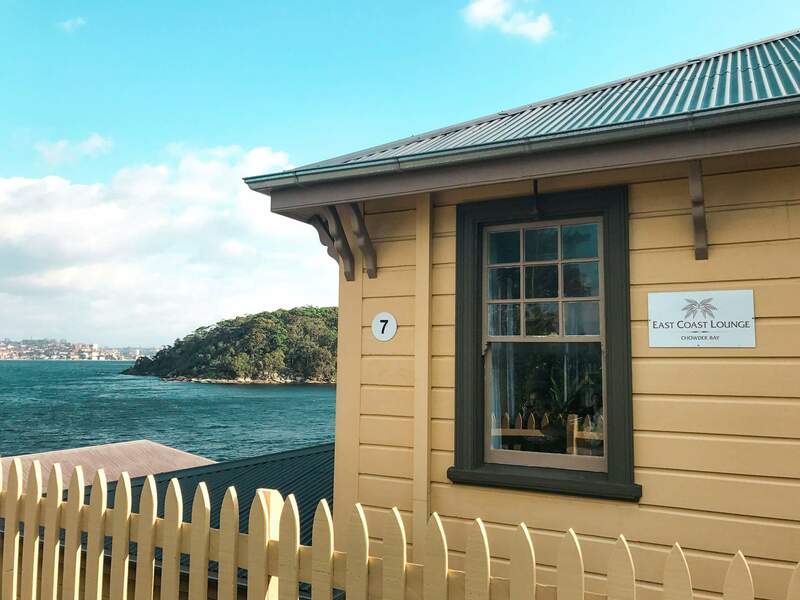 Although out in Chowder Bay, on Sydney Harbour, the styling may feel like you are in a far away location. But why you would need to be, when you have such a beautiful outlook. 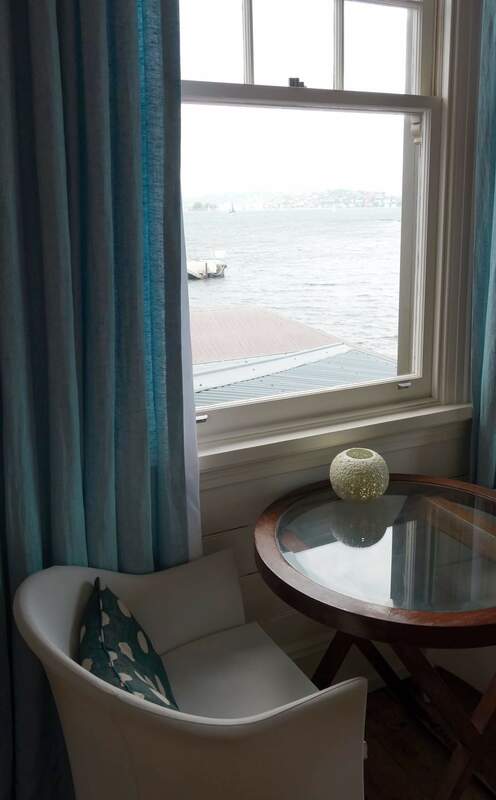 Take a seat by the window for your brunch and watch the ferries float past, or simply take in our lovey harbour. 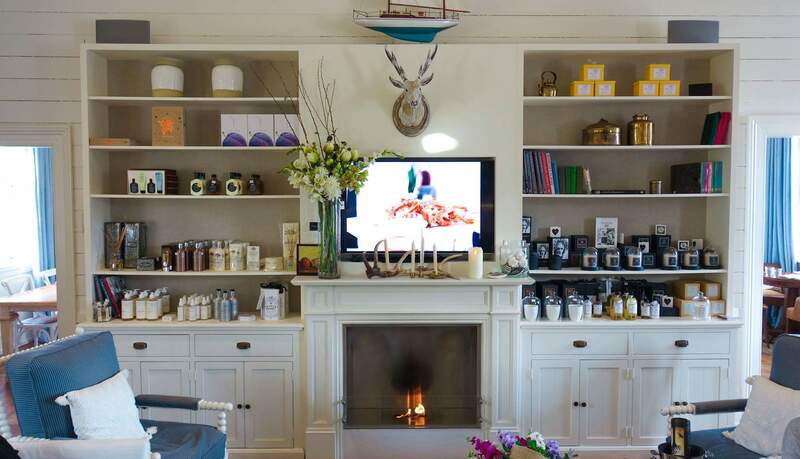 East Coast Lounge is part café/part high tea function space/gift shop features a fire place, couches, small tables and group tables. 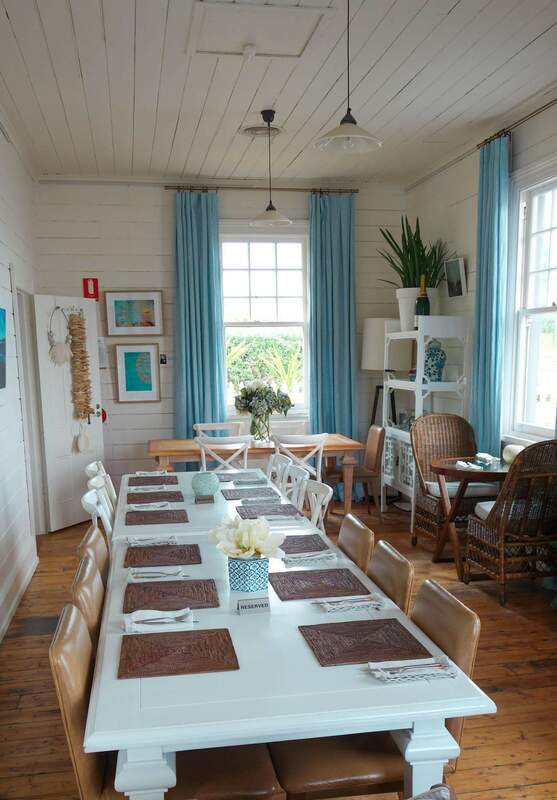 You can dine here for breakfast or brunch with a friend, or you can book a group lunch or high tea for around 60 guests for a birthday, high tea or similar. There is a welcoming looking space in the middle of the room by the fireplace, perfect to enjoy that cup of tea with friends. 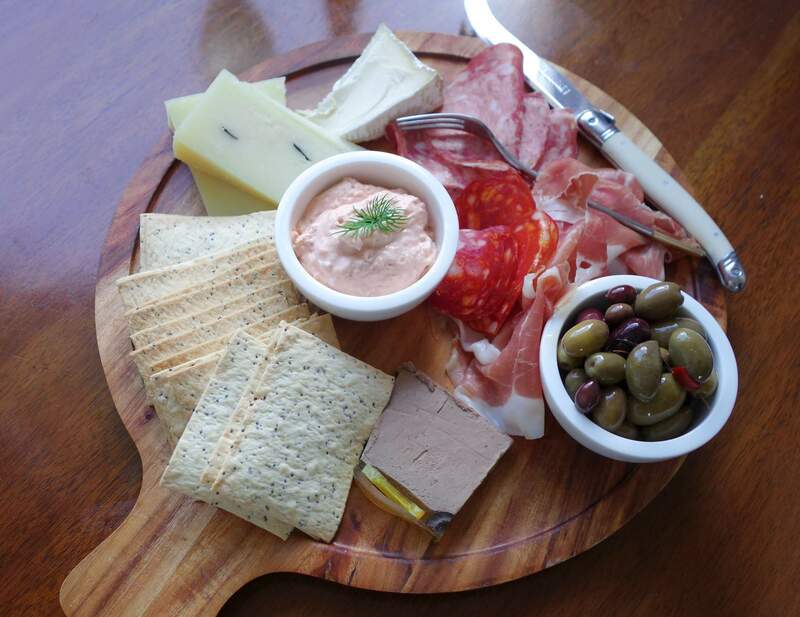 We were here in the late afternoon and decided to share a charcutterie board, featuring a variety of meats: salami and pastrami with lavosh crackers, taramasalata, olives and two cheeses of our choosing. We went for the triple brie and truffle pecorino. Certainly a generous serving. We also got and crispy baguette breads warm and flavoursome Sobrassada Jar. This went perfectly with a glass of bubbles (prosecco) and a “Dad and Dave’s Pale ale”. They like to stock all Australian boutique beer. There’s a great range of wines to select from. Or, you can also order coffees teas. 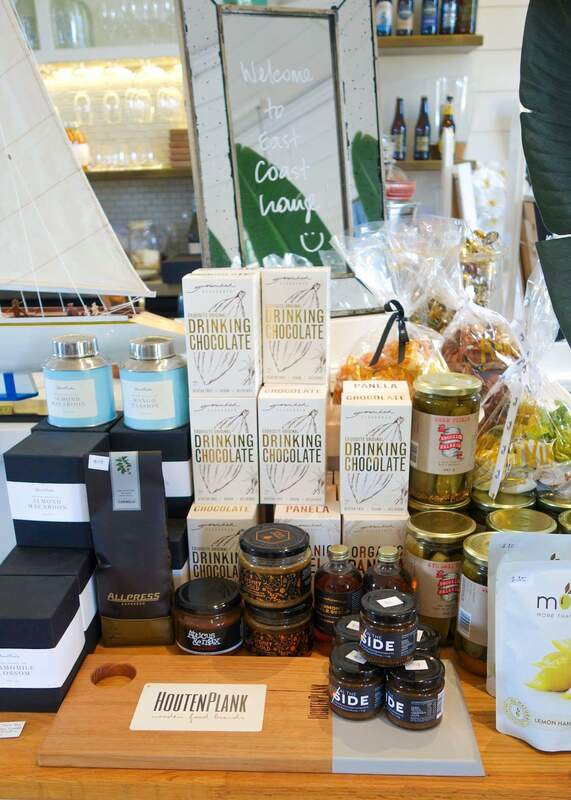 They sell soaps, books, candles, hand creams, trinkets, jewellery, blankets and more to take a little gift home for mum, your nan (or yourself!). You can get a water-taxi here, bus or your own private vehicle, about 15 minutes from the Sydney CBD. 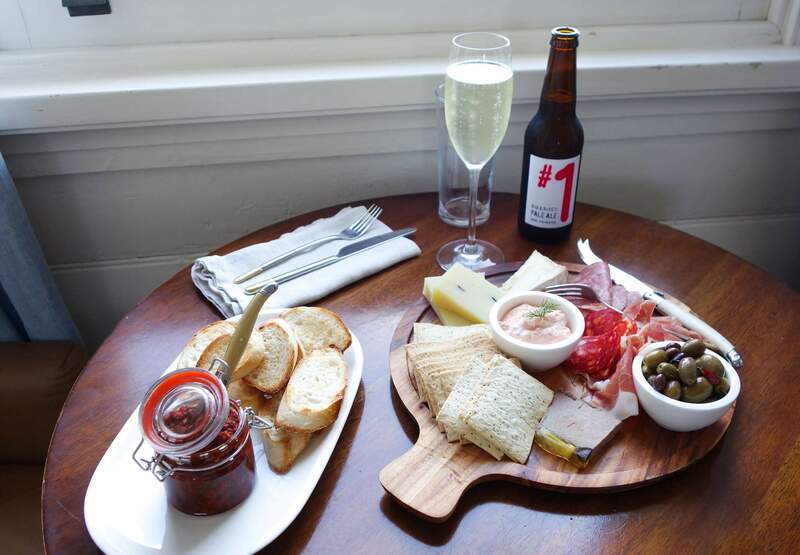 According to the zomato website, they offer a free glass of South Australian Mr Mick Pinot Grigio or Mr Mick Shiraz with every main meal (Monday to Thursday until June 30). Thanks to the lovely staff, in particular the owners Jennifer and Chris for a great visit. 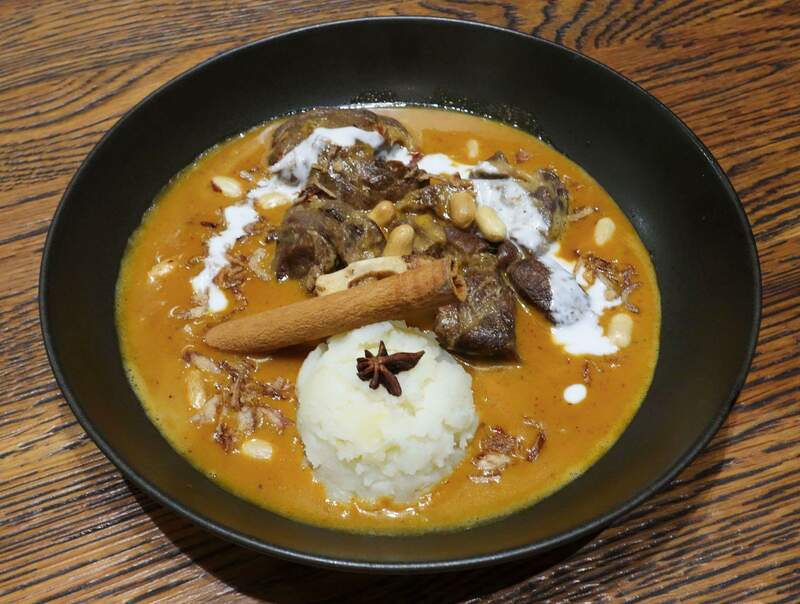 The North Spoon is a new cafe to the dining precinct in Milson’s Point. 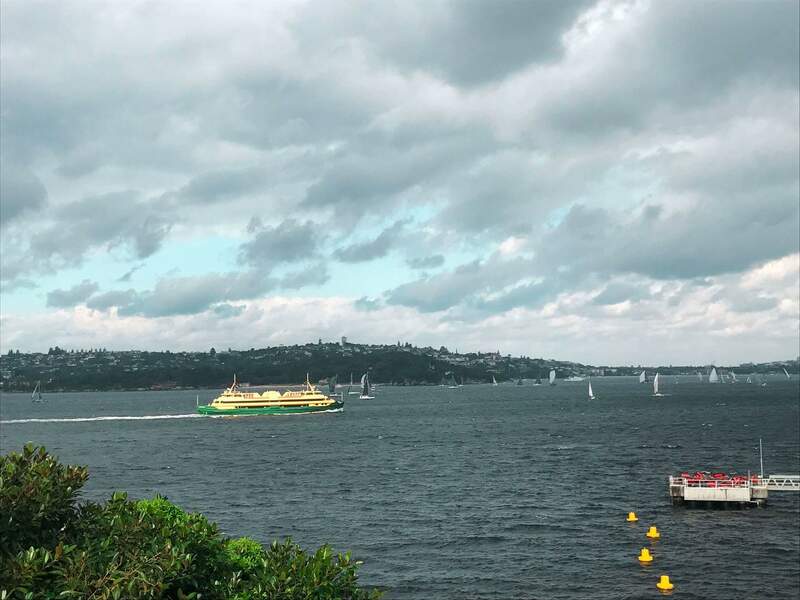 When you think of Milson’s Point, you associate it with a harbour bridge view. If you’re seated outdoors, this doesn’t disappoint. There is a turfed garden with picnic tables and a view of the bridge – an extremely pleasant place to enjoy your weekend brunch. 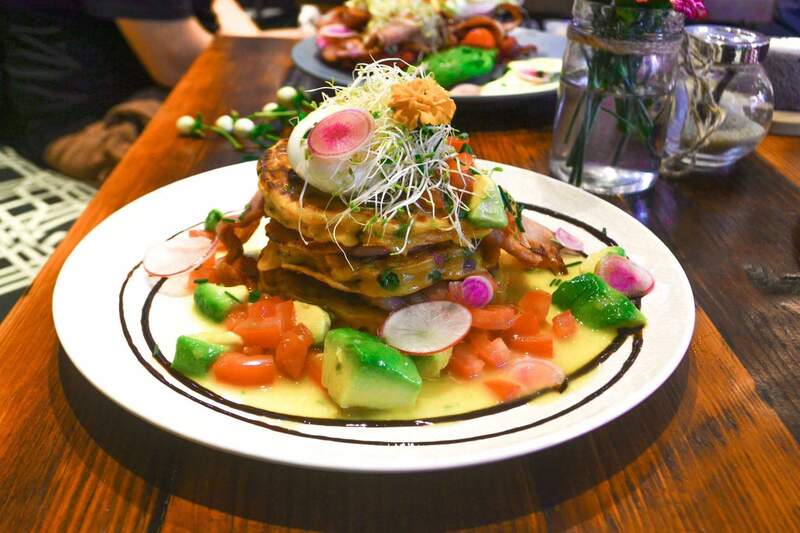 This is a thriving café with plenty of indoor seating and a range of brunch choices with a nice touch of spice. 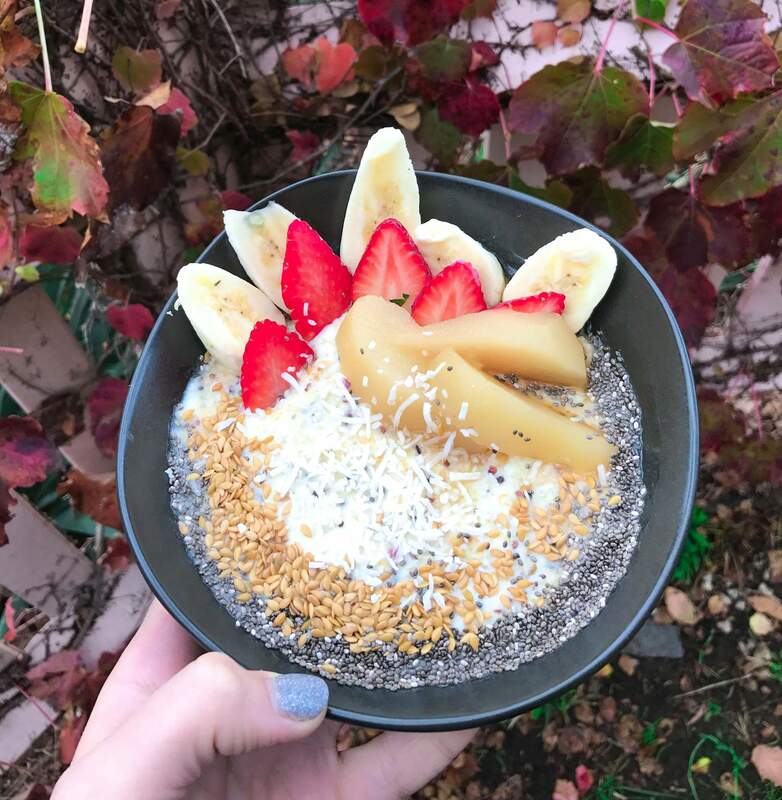 It was an extremely cold day so we went for the quinoa porridge with flax seeds, chia, honey and topped with fruit that included fresh strawberries, banana and a poached pear. I really loved this and have been thinking about ever since we visited. 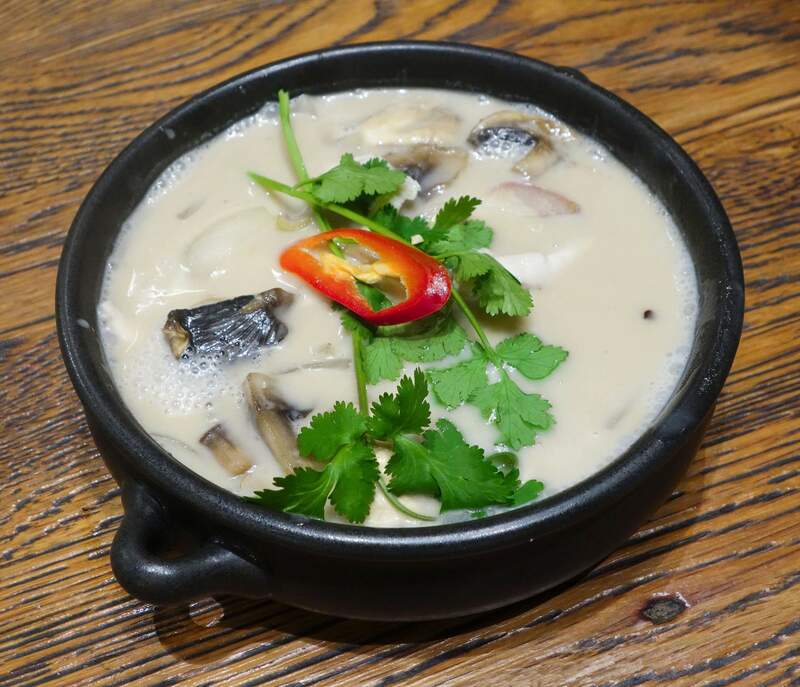 Healthy, warm and filling. We also tried the salmon hash, which had a lovely crispy hash atop a yogurt curry / Indian influenced sauce, greens and topped with salmon and poached eggs. 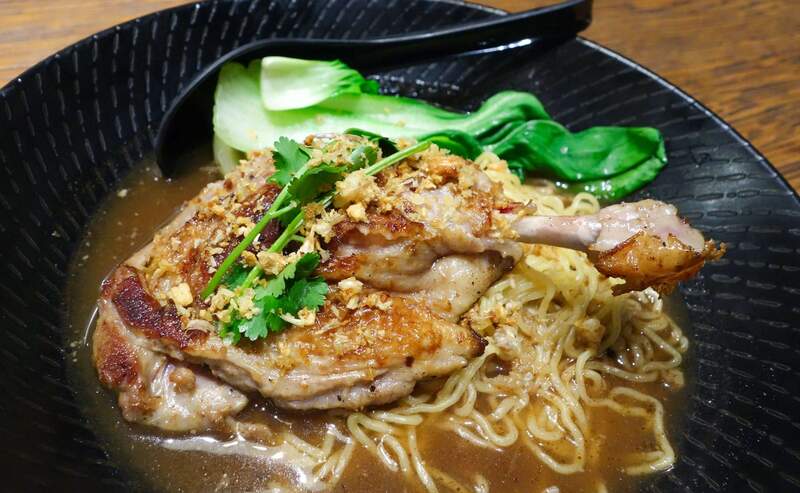 An extremely tasty dish that made you go back for more. 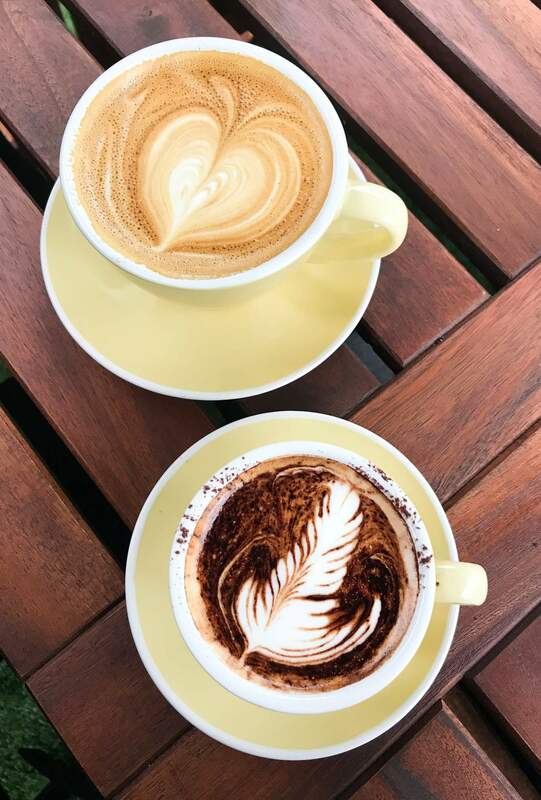 We had a couple of coffees, using the campos bean and complete with latte art. They do serve a range of sweets and breads to take away. I would recommend paying this place a visit. I know I’ll certainly be back as the lamb burger has inspired me for a lunch visit! Thanks to the North Spoon for a nice cafe experience and to CPM for introducing us. 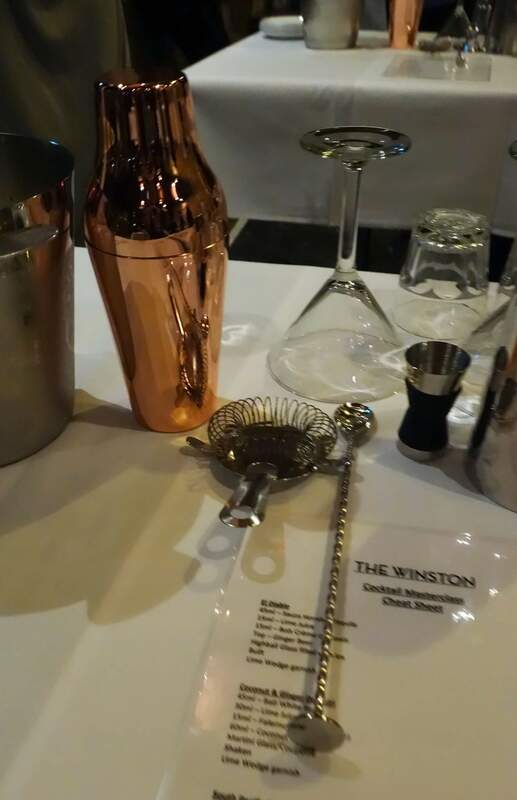 I was lucky enough to attend a ‘Cocktail Masterclass’, held at the Winston Hills. Not being from the area, and given the night involved alcohol, I availed myself of public transport options and caught the bus from Wynyard. It was an easy trip, accompanied by reading a book made it quite pleasant and I was dropped right at the doorstep. The Winston Hills is a large bistro style pub and has indoor (with wood fires) and ‘alfresco’ (yet covered) seating area, a sports bar and pokies lounge, it would suit a lot of guests. The class was run in the alfresco section. 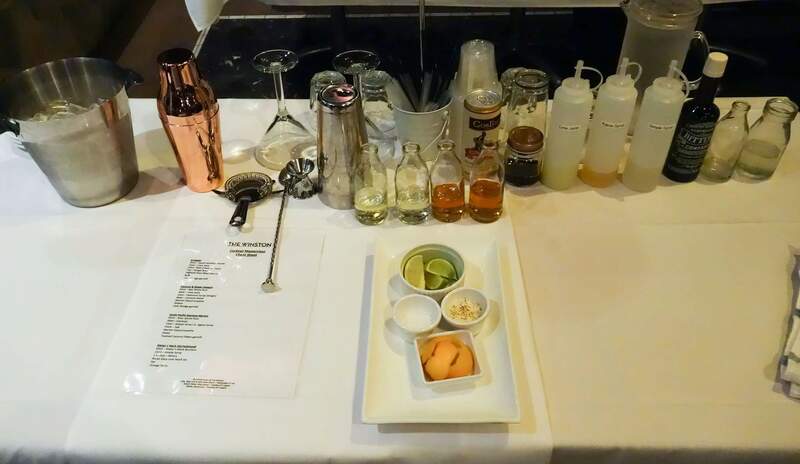 As I arrived, tables were already set up ready for the class with ingredients, alcohol already measured, shakers and accompaniments. Certainly looked classy to start! 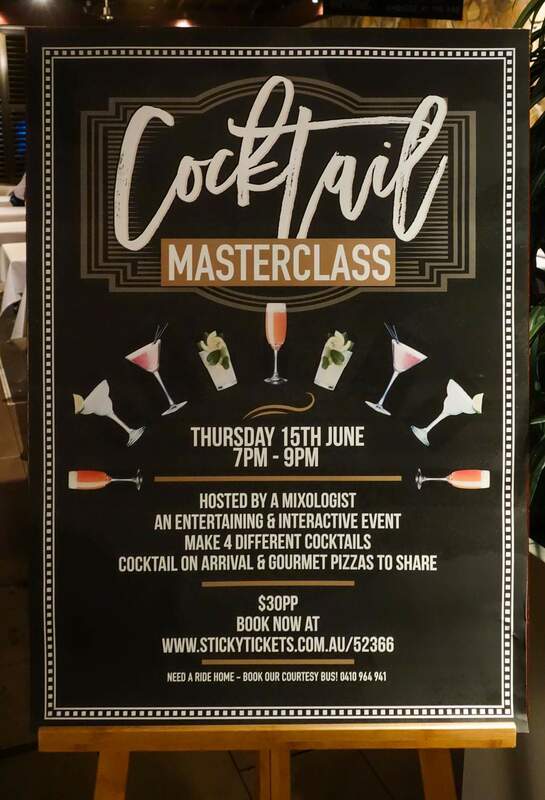 Hosted by Michael Nouri, known as a ‘mixologist’, he had great knowledge and passion of all things cocktails. 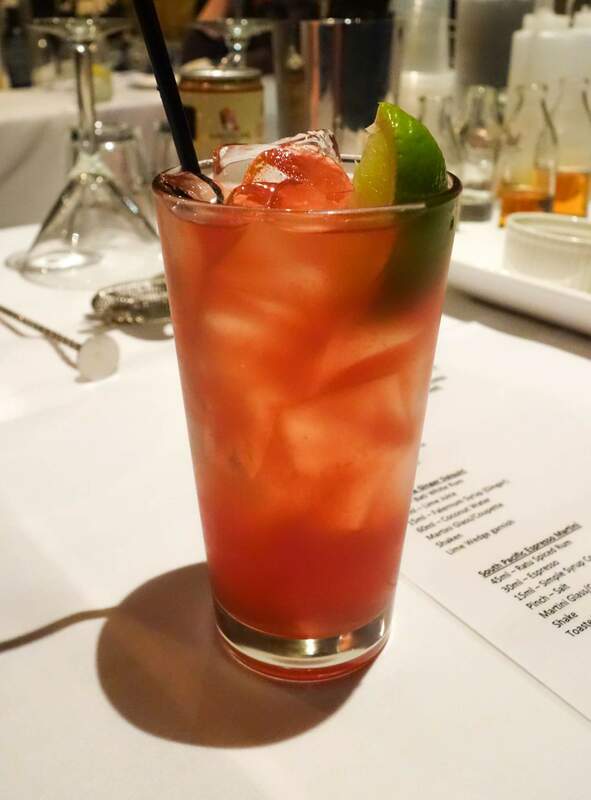 Michael instructed that there is no right and wrong way of making cocktails, as you can easily replace one spirit with another to make an entirely different drink. The key is having versatile ingredients. Gone are the days where I used to buy passion pop, a cheap version of Malibu (bombora? ), home brand pineapple juice and mix up a cocktail (or “punch”) in a bucket in my college dorm. Now, I am older, have a full time job and a lot more knowledge. I am prepared to have some cocktails at home that actually taste good! 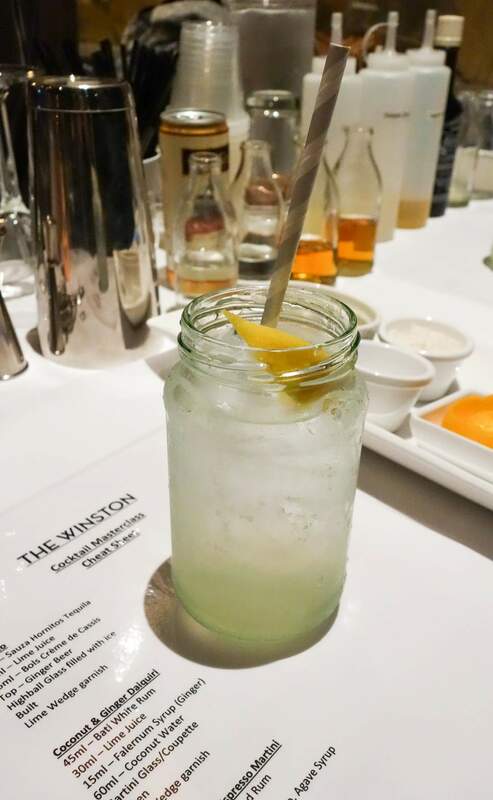 As we arrived, we were met with a cocktail on arrival: a ‘Tom Collins” – a simple style drink that can use any base spirits. It was modelled on the 2-1-1 method (sour, sweet, soda). This was made with gin, lemon juice, sugar syrup and soda. This particular one used a Spanish gin and served in a highball glass. Delicious and refreshing. This gave us a good idea of what ours were meant to be like. We were then taught that cocktails could be “built, shaken or stirred”. Despite my years of drinking at college, I had only heard of stirred, and I am sure that was from James Bond. Thus, the night was based around this concept, learning to make these types. With 4 people in a group, the idea was to make 4 cocktails (make one each and share with the group). 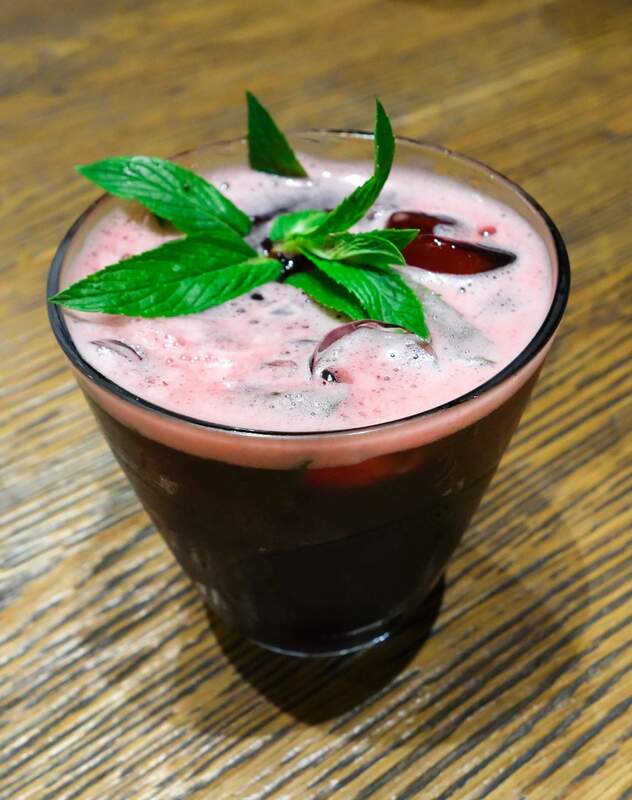 It began, I was the first cab off the rank, making the easiest one: an “El Diablo” – tequila, lime juice, crème de Cassis, ginger beer in a highball glass, filled with ice and garnished with a lime wedge. This was extremely easy, basically pouring the pre measured items in the glass. No shaking needed – it is an easy one to make at home. 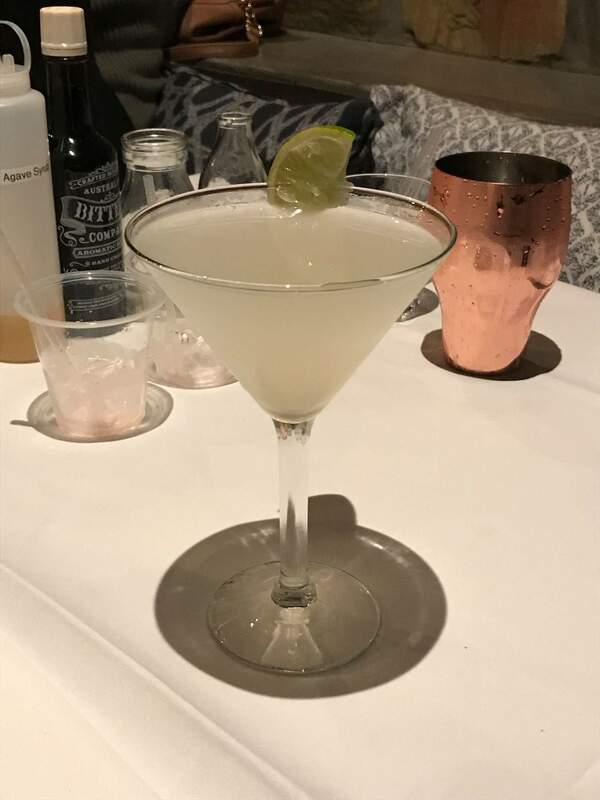 Followed up by a coconut and ginger daiquiri – daiquiris are pretty standard drinks, but made with coconut water and faiernum syrup was extremely good and almost felt healthy! 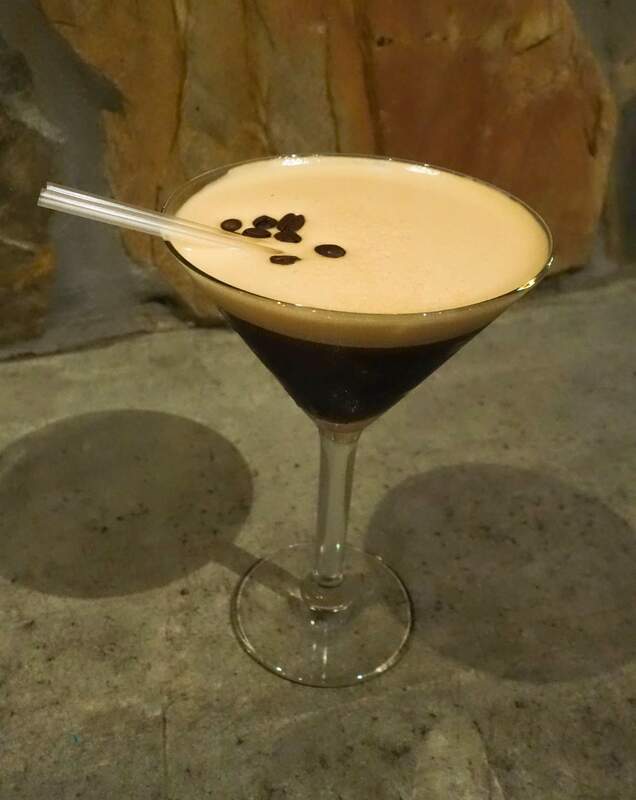 This one you just add to the shaker with a bit of ice and off you go.One of my all time favourite drinks is the espresso martini and I learnt something this time, add a touch of salt and coconut flakes to garnish and makes for a great version! Finishing off the night was the men’s favourite drink; the old fashioned – bourbon, simple syrup, bitters, over ice and stirred with an orange twist.What a great opportunity to learn about how to construct some favourites and some inventions on the classics. It was well organized and taught effectively with a fun AND funny host. 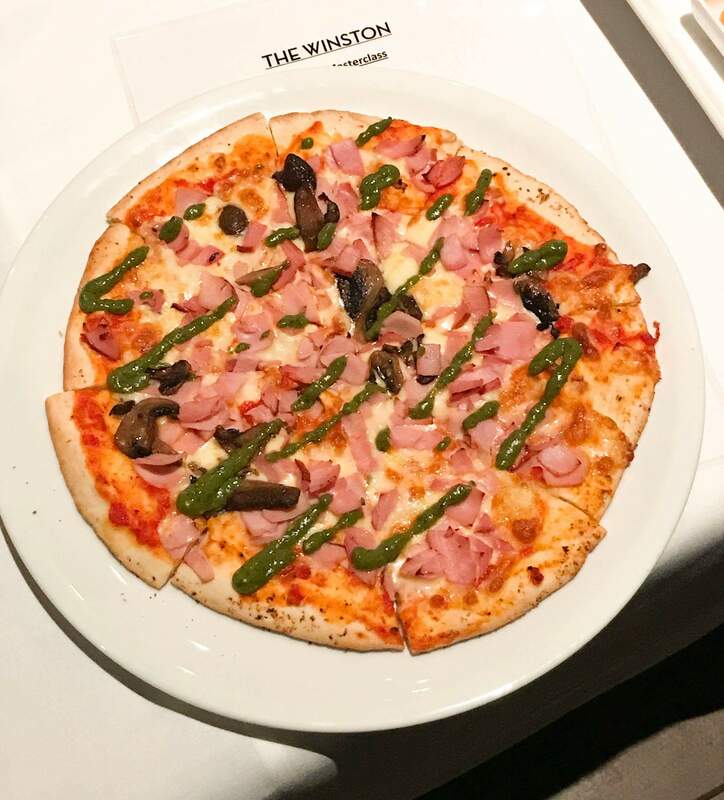 We also got two gourmet pizzas to share between the 4 people and help soak up the alcohol consumed. At $30 a person, it was extremely good value and I thoroughly recommend it. No need to worry about driving the Winston will help you get home safe. The courtesy bus will even drop you home if you live nearby, or in my case: the bus stop. How cools is that. 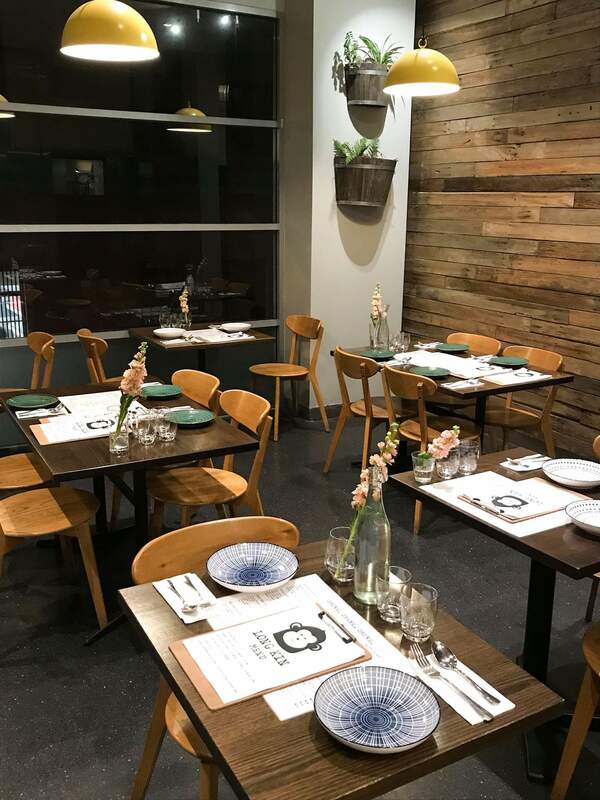 Thanks to Amy and the Winston Hills for hosting us and keep an eye out for more events as they run a Phillip Shaw and Robert Oatley wine dinner and a whiskey masterclass. Check out their website and tickets to be purchased stickytickets. 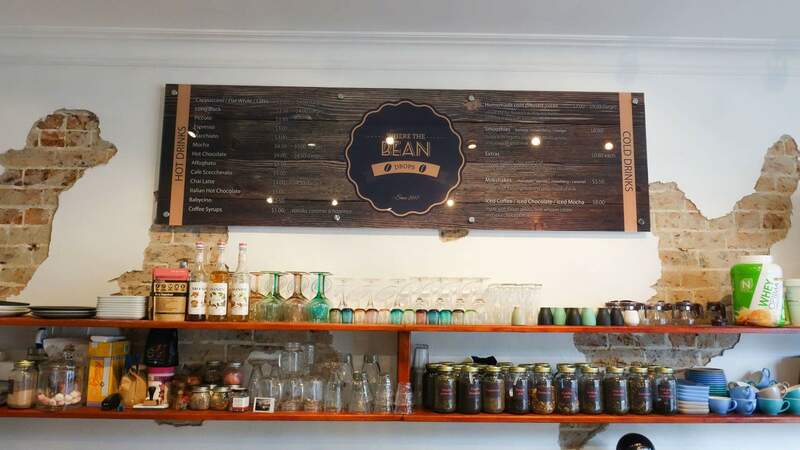 ‘Where the Bean Drops’ is a new addition, to the thriving hub of Rozelle, having been open for 3 months now. 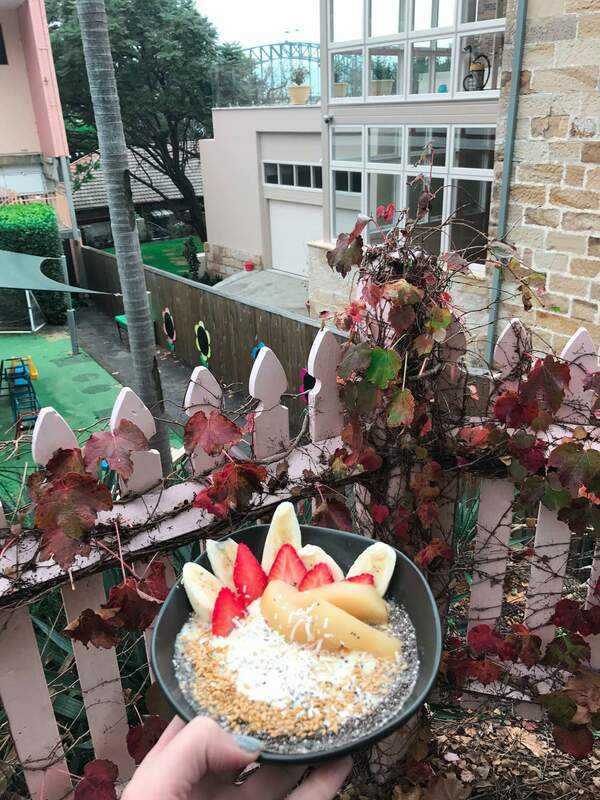 A few streets away from the hustle and bustle of the markets, you can come here for a relaxing breakfast or brunch and enjoy the delicious food on offer. The business owners Alexandra & her step-mother Cinzia Agrillo. 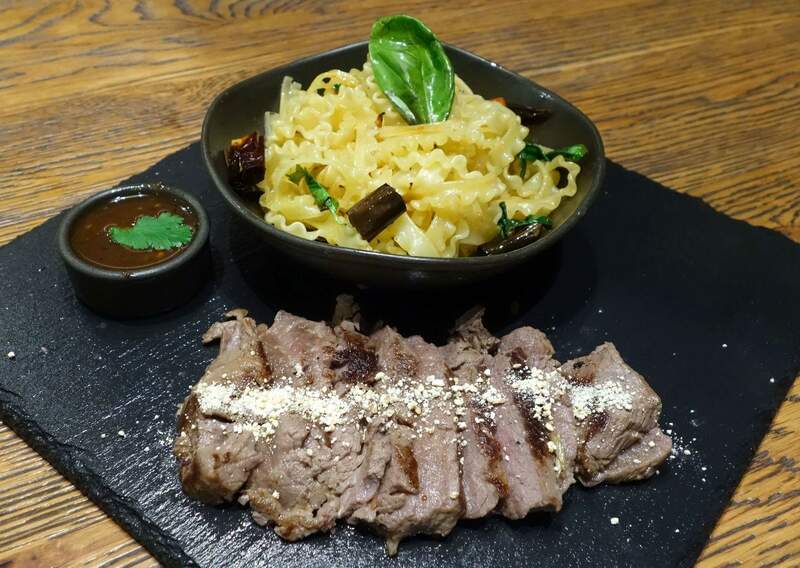 They are passionate in preparing meals with home made ingredients with an Italian influence and they sure will take care of you. Sit inside and enjoy the warmth in a homely environment or if you have a dog, you can pull up a stump outside. Either way the ladies are sure to make you feel part of their family. We started off with some in store made spelt cracker made with olive oil, sesame seeds, linseed, chia seeds, sunflower and pepita seeds. They tasted buttery and morish. I wish they delivered to my house on a regular basis! 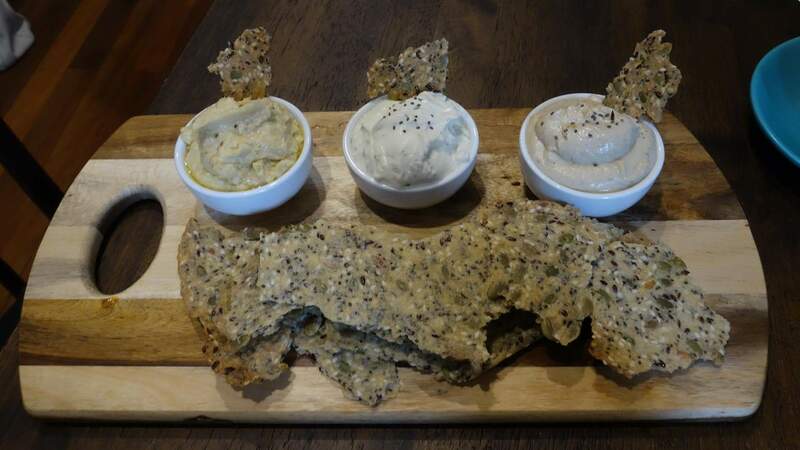 We dipped these in a variety of dips; babaghanoush, tzatiki, and hummus. 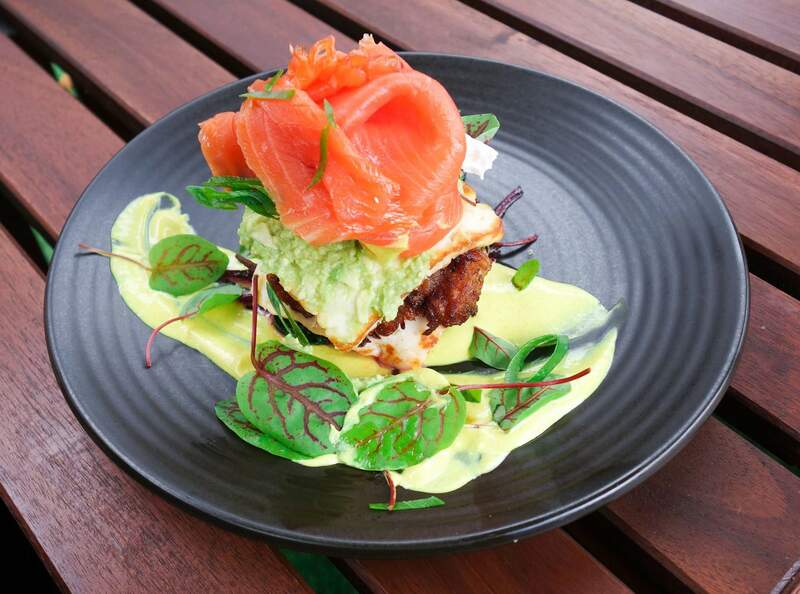 Omelettes, bruschetta, granola, big breakfast, baked eggs – they have something for everyone. 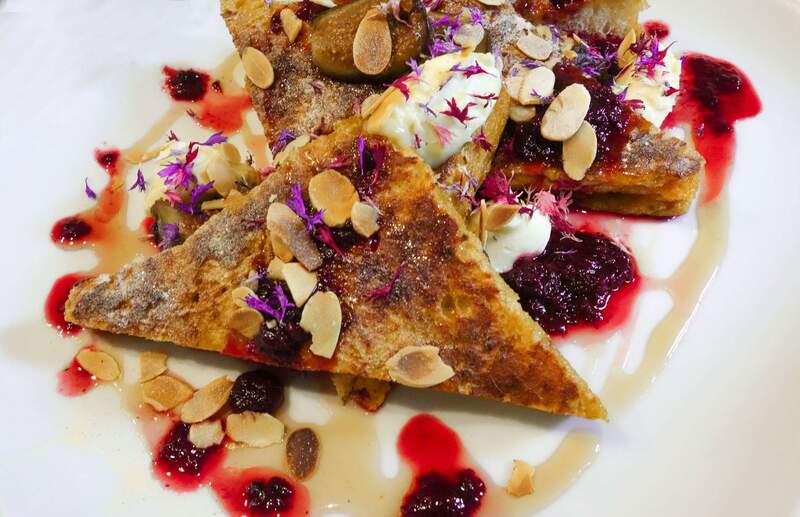 A great weekend brunch option is the French Toast #cheatday. A generous serving of this sweet bread topped with marscapone, maple syrup, and a berry syrup, it worked well together and looked beautiful on the plate! 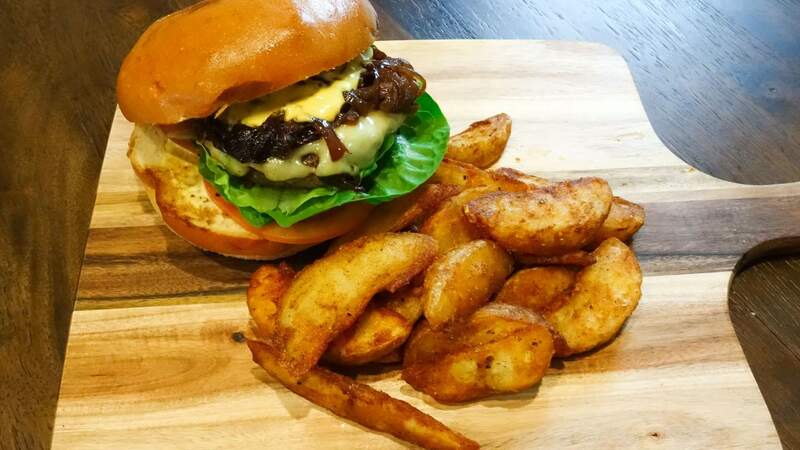 We also tried the wagyu beef burger as a lunch option a nice burger made up of; a soft milk bun, swiss cheese, caramelised onion, lettuce, tomato, with a delicious and beautifully cooked homemade beef pattie served with house made relish and baked potato wedges. The wedges were so crispy and I like that they were baked. There’s also a veggie burger, bacon or cheeseburger if you prefer. Salads, paninis, lasagne and sliders were also an option. 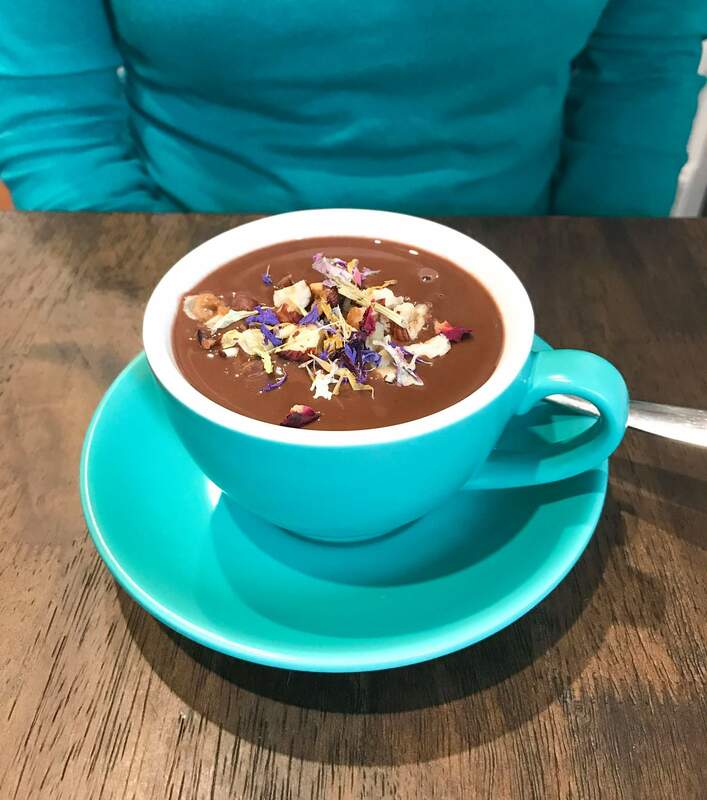 For drinks we tried the Italian hot chocolate; a thick dark decadent hot chocolate, topped with edible flowers, so rich and beautiful! We also had a latte, compete with latte art and shared a brewed chai. They have a range of loose leafed teas and milkshakes. 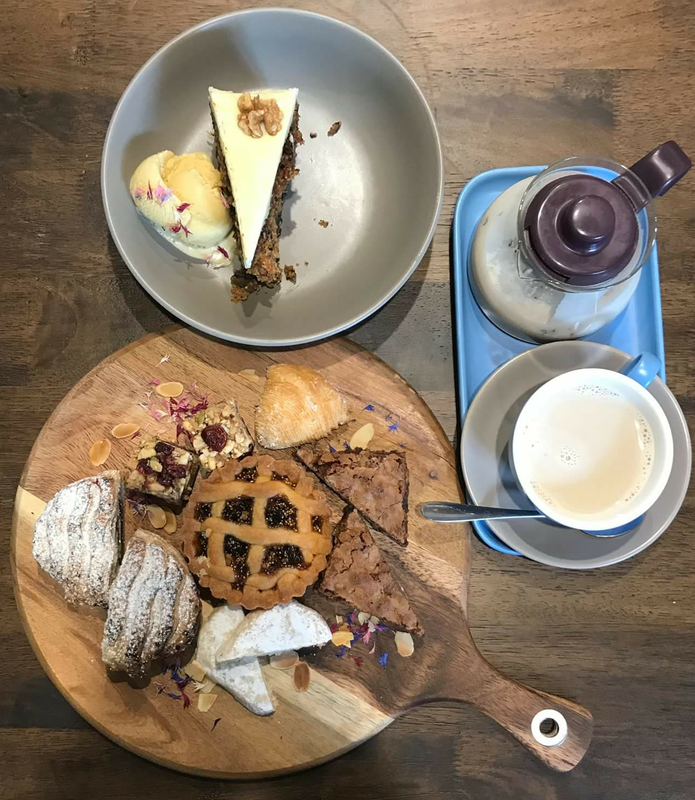 When we thought we were finished, we were lucky to sample a variety of their home made pastries, brownies, carrot cake and more. 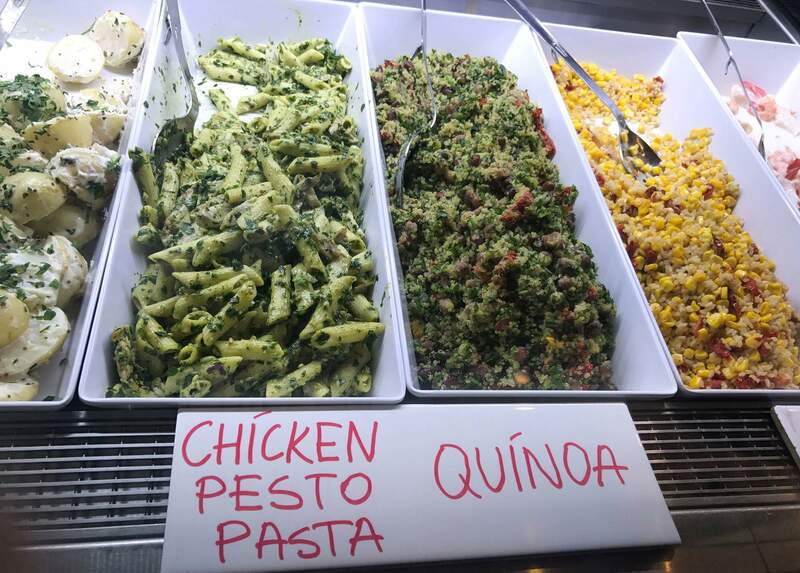 You can certainly tell the difference when the food is freshly made in store – soft and pillowy and we loved these! In fact we took some home for later! 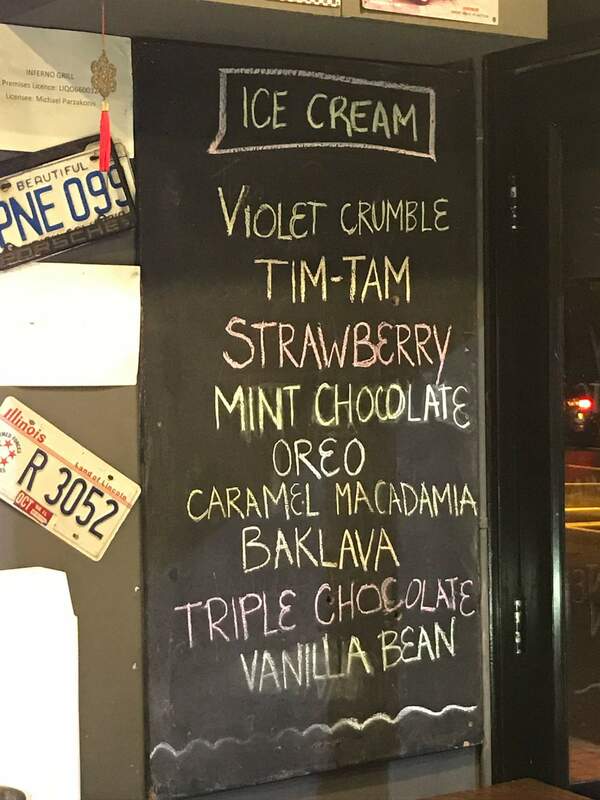 They also offer gelato for those of you that love that sweet hit. The lovely ladies were so hospitable to everyone coming in and we loved our visit. 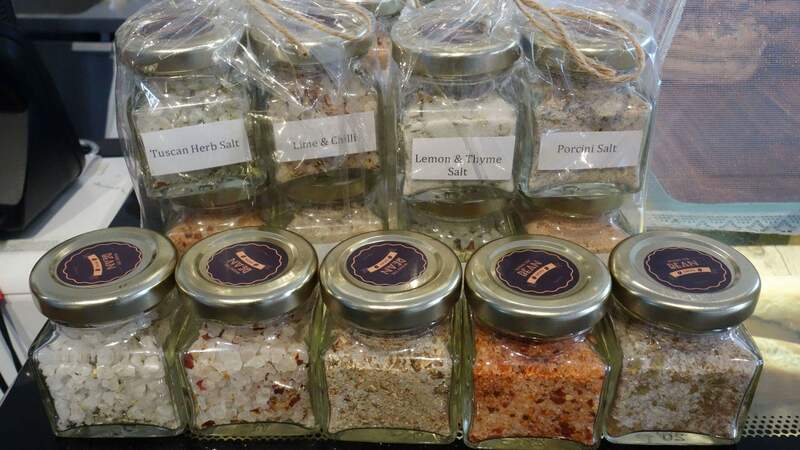 They gave us a little goody bag of a variety of salts to take home and use. 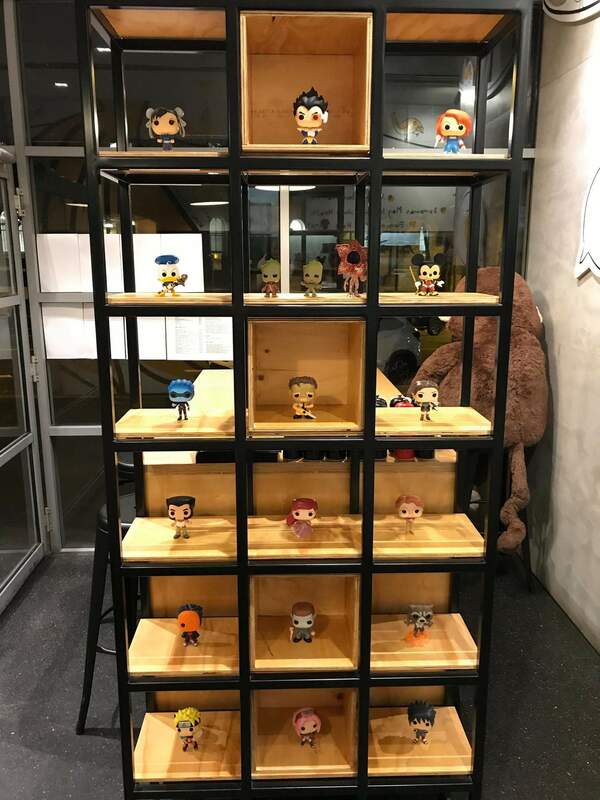 They sell these in store. Thanks to the staff at Where the Bean Drops and to ompty for arranging our visit. 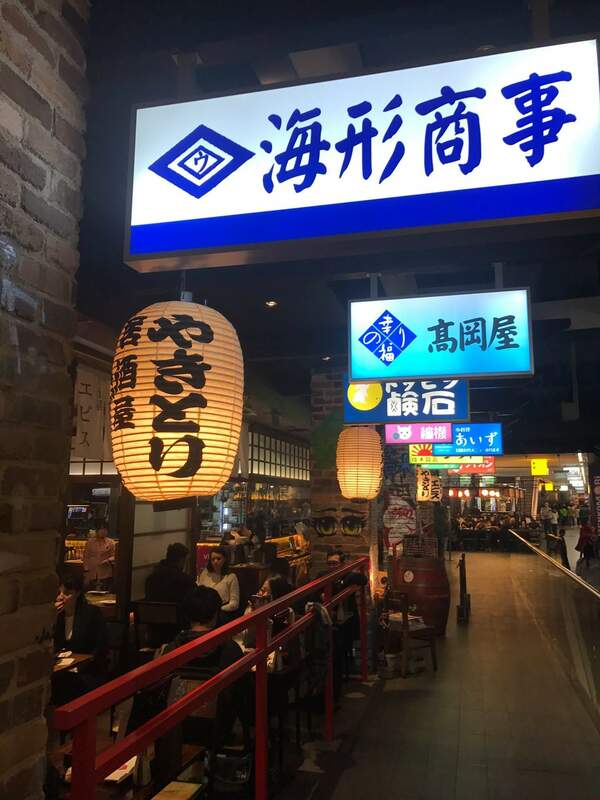 When you’re in Japan, it’s a must to visit Izakaya to sample all the marvellous food it has to offer. 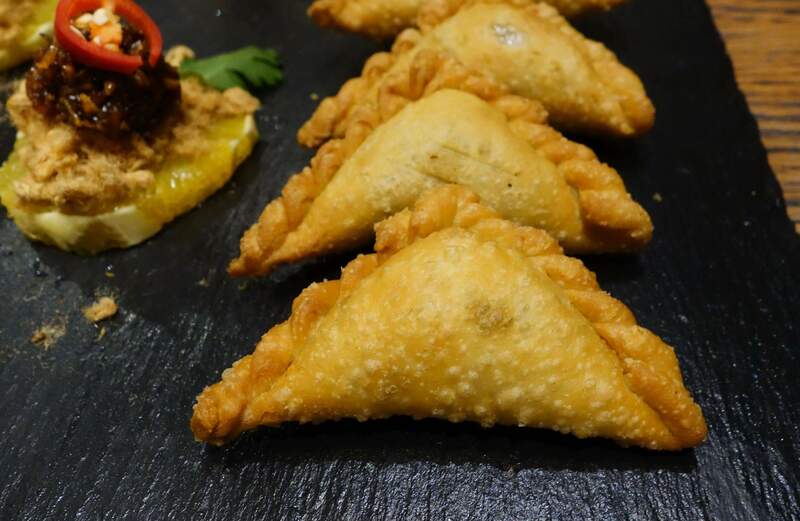 It also gives you the opportunity to taste many different things when there are small plates to pick from. Izakaya Yebisu is a taste of Japan. 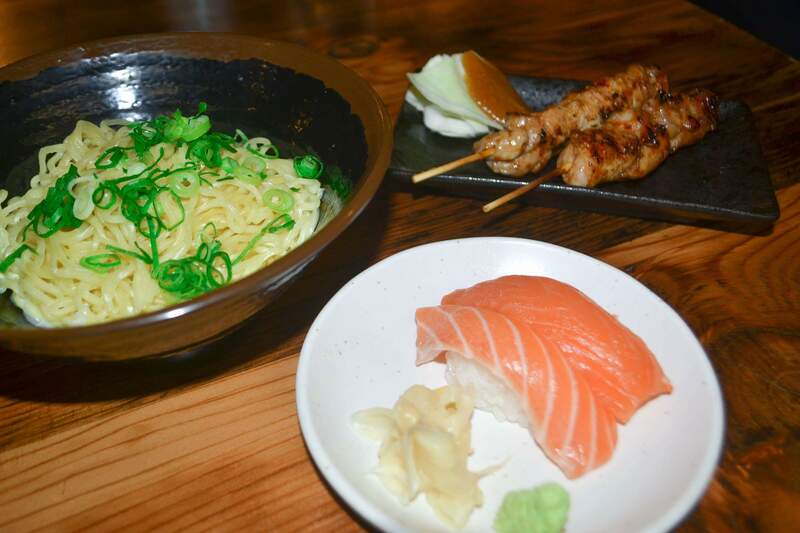 This very popular restaurant is situated in Regent Place and it does get busy, think the crossing at Shibuya. Don’t let that deter you, it is a fun joint that quickly turns over tables, so you won’t be waiting long. 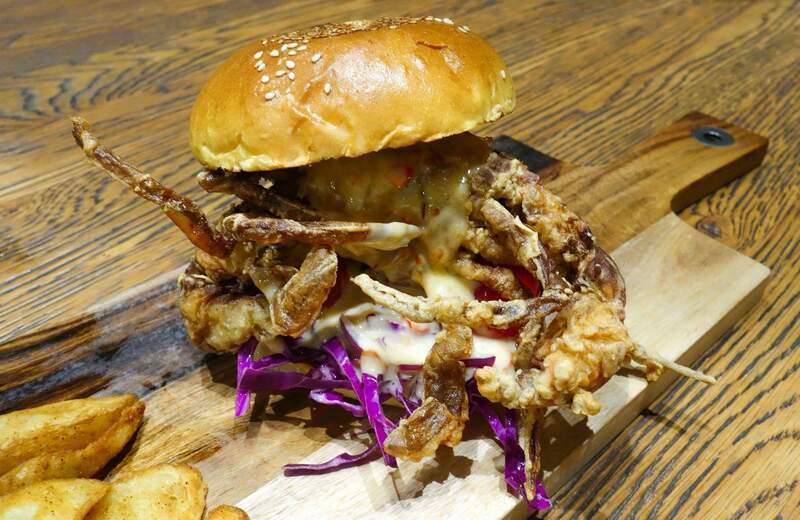 You can sit in booths, at tables or at the bar, where you can watch the chefs in action. Japanese memorabilia adorns the walls and it feels like you’re in Japan. We sat in a booth and perused the menu, which is on a touch screen computer at this place! 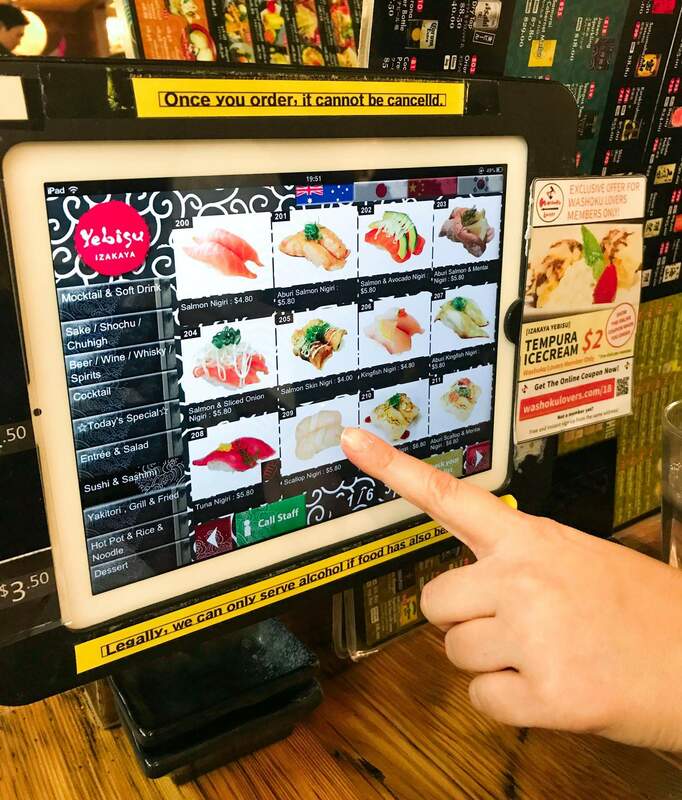 The screen is catergorised into specials, sushi, sashimi, desserts and drinks so it is easy to locate what you’re looking for. Prices are listed, as well as an image. Add it to your cart and order away! Press for service or a glass of water – easy to get what you need promptly. We also shared some salmon nigiri. 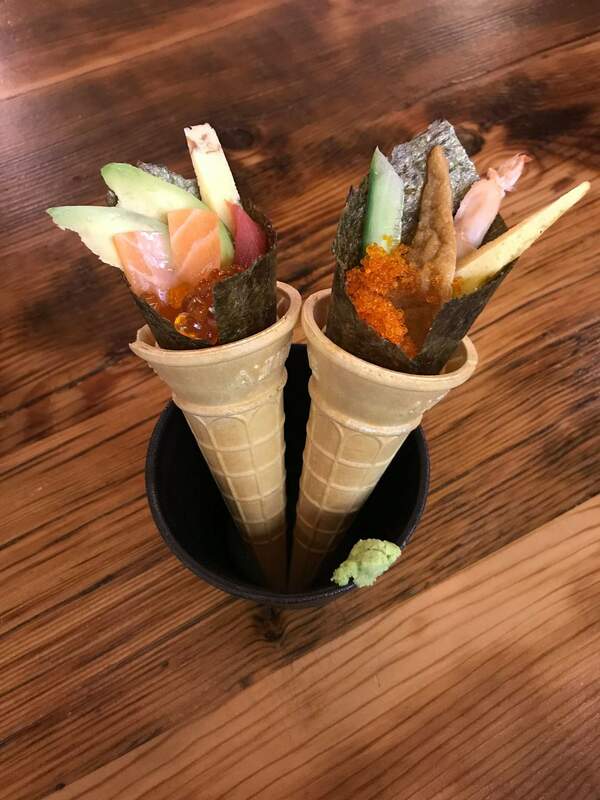 One of the specials was a sashimi cone – an incredible ice cream cone filled with sashimi, vegetables, avocado and roe! How cool is that! The sashimi here is extremely fresh, they get in from the fish markets daily. 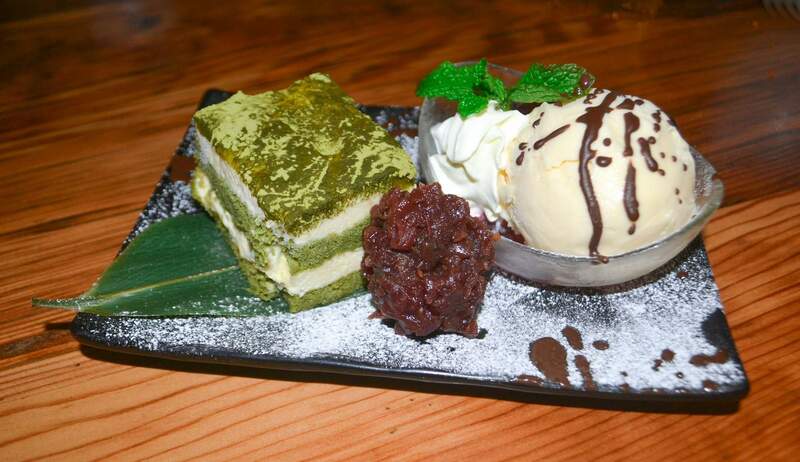 There were some great looking desserts and whilst the tempura ice cream looked outstanding, we couldn’t go past the green tea tiramisu, nice and spongey with cream, ice cream and fruits. We loved this sugary end to the meal. We didn’t have alcoholic drinks on this occasion, only some hot tea, but they have a huge range of cocktails, sake and whiskeys. 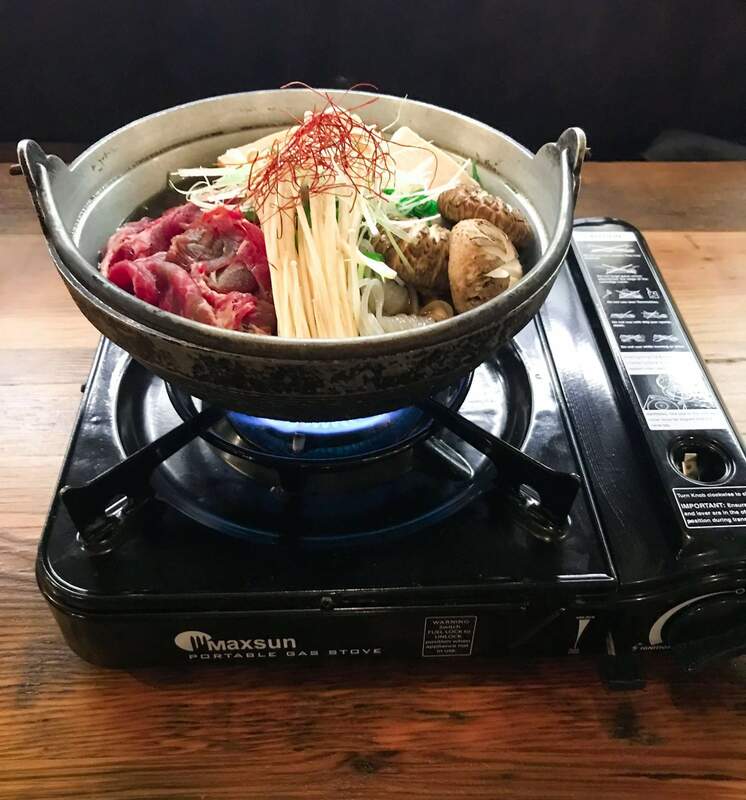 Perfect for a catch up with friends to get that authentic Japanese Izakaya dining experience in the heart of the Sydney CBD. Staff are efficient and friendly. Thanks to Washoku lovers for arranging our visit and the hospitality provided by Izakaya Yebisu. 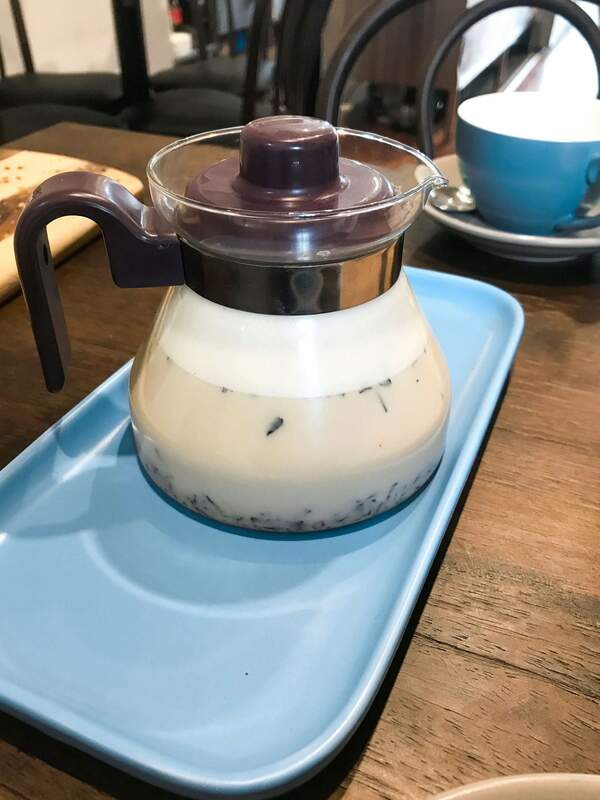 Cuppa Flower is one of those places that you just feel happy to be at. It is a florist and café and everything so beautiful and colourful and thriving with customers. We visited with friends so had the opportunity to try lots of dishes. We ate from the breakfast menu so make sure you’re there before 11 for that, or it changes to lunch after that. We began with a few chai lattes, a mocha and a latte. The drinks came with a flower in their latte art and brightly coloured cups and saucers. Cuppa Flower do cute sponge cakes and we just had to get one of those! 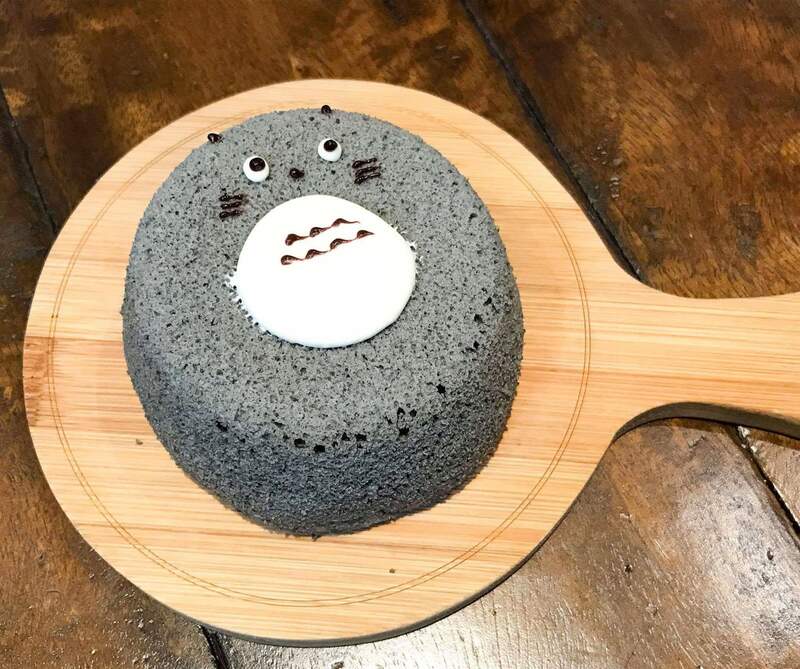 We got the black sesame cake and it was extremely light and tasty. 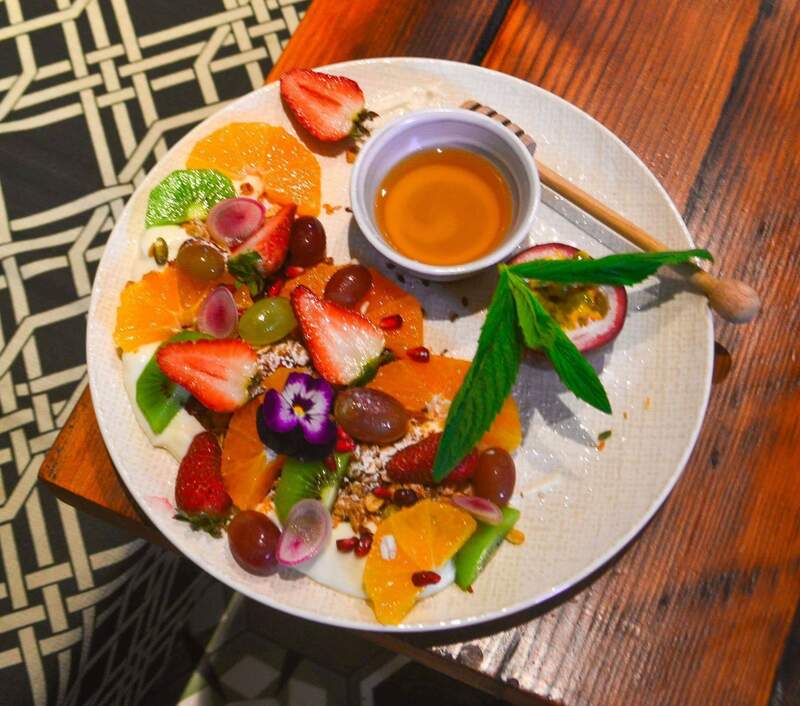 For our meals, we just had to get the exquisite granola, smeared in a circular plating, topped with bright fruits, honey and yoghurt. 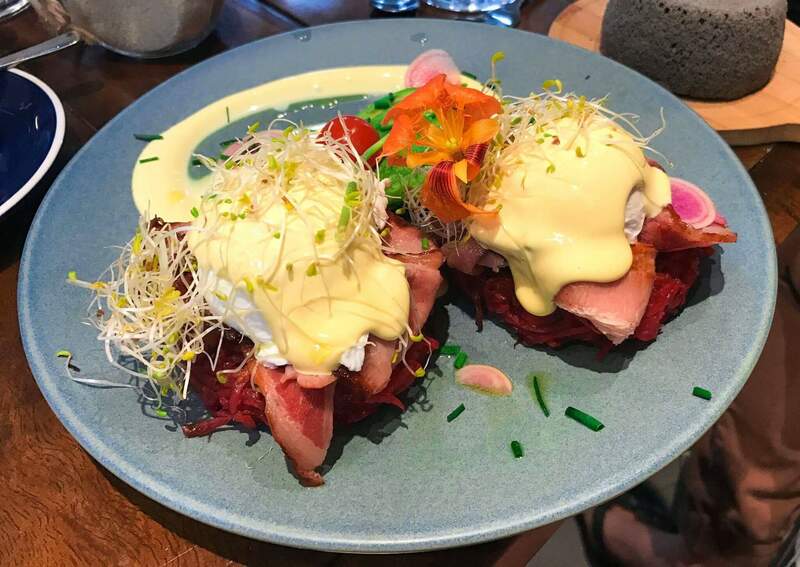 We also tried the Cuppa Flower benedict: which was a beetroot and potato rosti with bacon, avocado and poached eggs, dosed with hollandaise sauce. A decent portion and a tasty breakfast option. 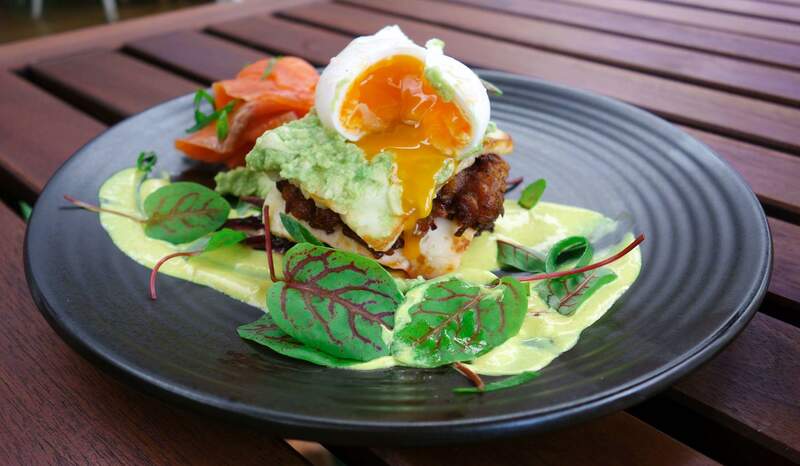 Our friends ordered the corn fritters, bacon, avocado and poached eggs. Another brightly coloured dish and again a generous portion. 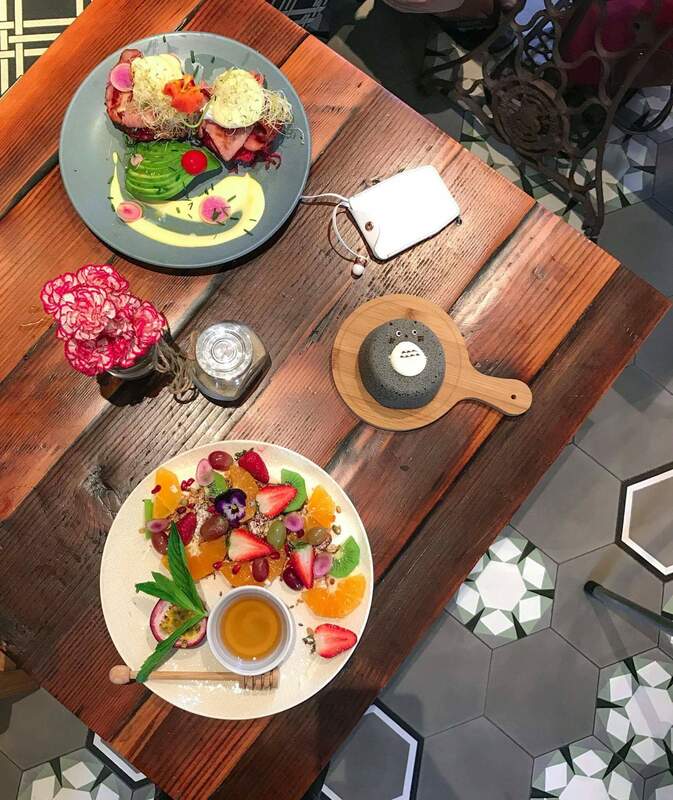 They also have acai and pitaya shakes, organic loose leaf teas and cold pressed juices.Get yourself down there for a breakfast to brighten up your morning and leave with full bellies and a bunch of flowers for your home. 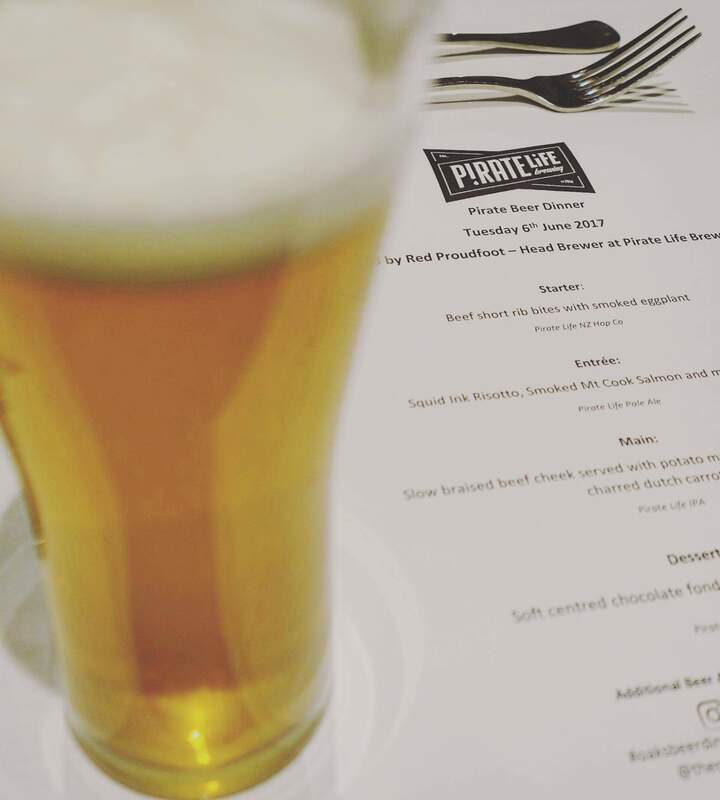 We headed to The Oaks Hotel in Neutral Bay for their ‘Pirate Life’ Beer dinner. 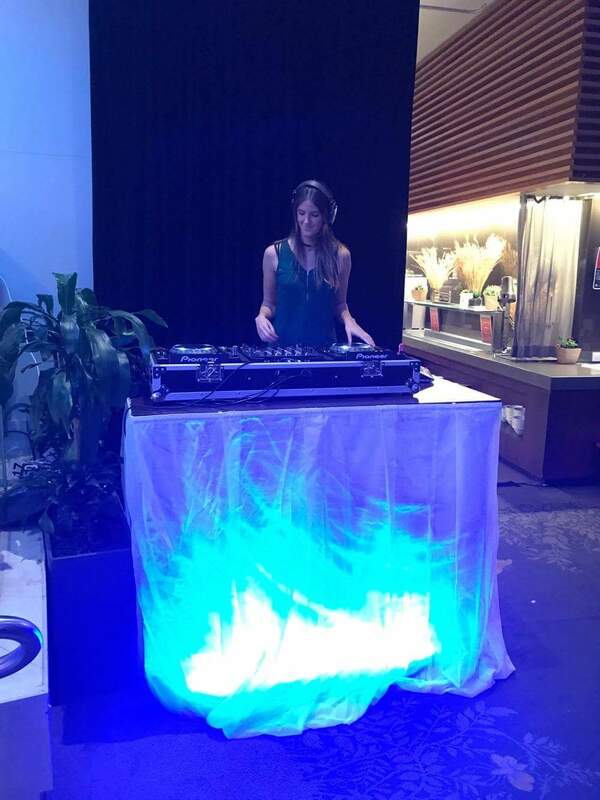 Be sure to keep an eye out for upcoming events at www.oakshotel.com.au, they host an amazing array of events. 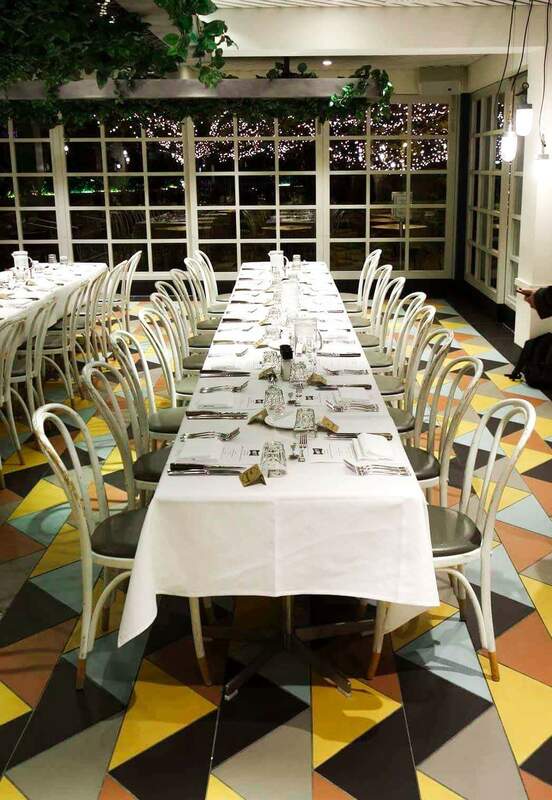 The dinner was held in the bright open function space, The Garden Pavilion. 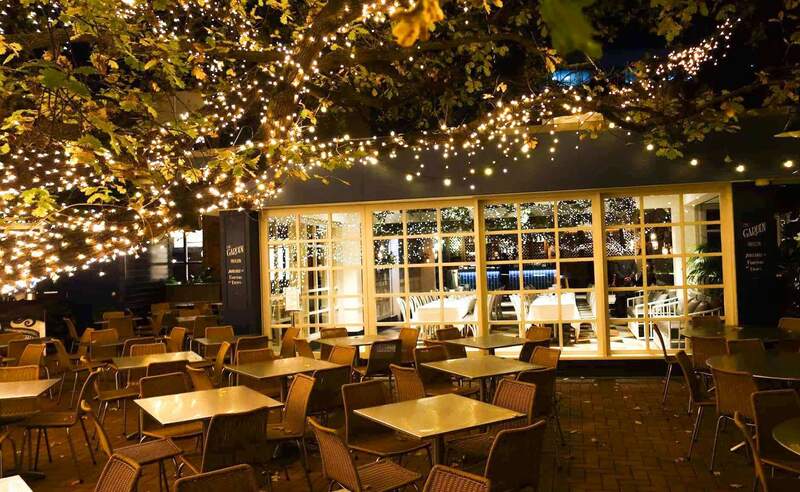 With an outlook to one of Sydney’s most iconic beer gardens with their famous Oak tree decorated with fairy lights, a truly spectacular setting to be matched by what was ahead. The Dinner was Hosted by Red Proudfoot, Head Brewer from Pirate Life. Red is a talented brewer and a great host, providing an informative and entertaining insight into the Pirate life product. A company which started in a garage in Adelaide by a group of mates with a passion for brewing beer. Pirate Life primarily targets bottle shops, however some good news for us Pirate Life fans: The Oaks are on to Pirate Life and serve the golden or darker elixirs at the bar. They even have the Pirate Life IPA on tap! There was no easing into this meal, starting with the beef rib bites. 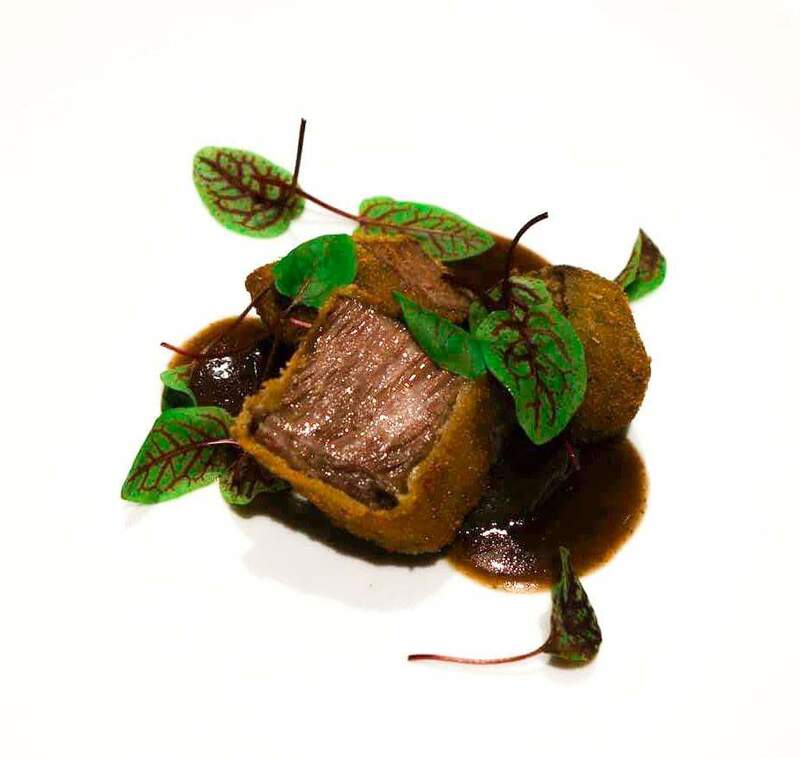 The Succulent beef rib cubes with a crisp crumb served and smoked eggplant were perfectly paired with the Pirate Life NZ Hop Co. This pale complimented by the beef and smoke of the eggplant. 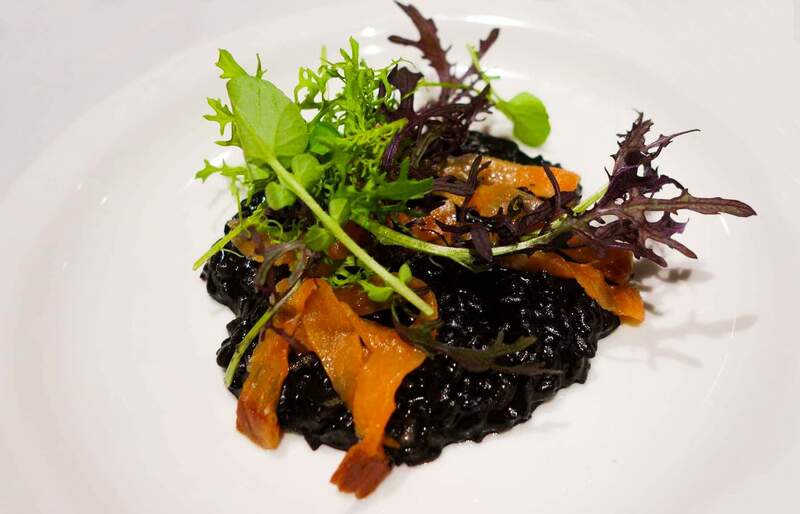 It is hard to get a good risotto, thankfully the guys at the Oaks delivered the goods with the squid ink risotto served with Smoked Mt Cook Salmon and mustard cress. Again the smoke flavour from the salmon working well with the Pirate Life Pale Ale paired with this dish. 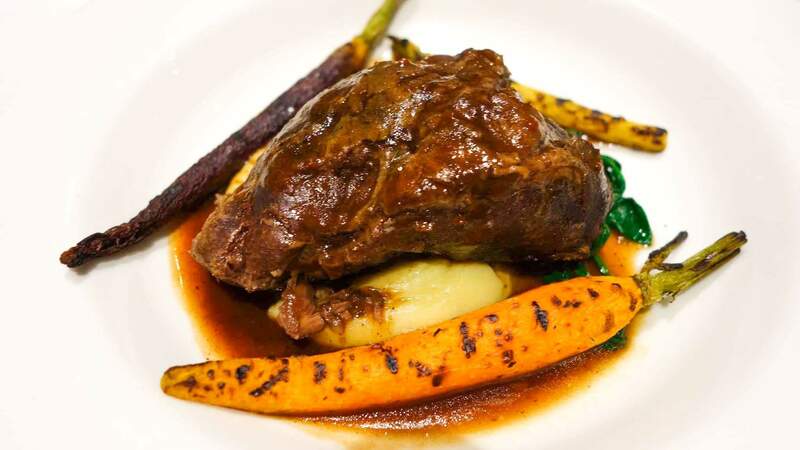 The next dish had us all salivating, the slow braised beef cheek served with mash, sauteed spinach and charred dutch carrots. This dish was perfect for this Brisk winters night. The beef so tender, the fork alone was sufficient to devour this beautiful piece of meat. I am a fan of all varieties of pale ale and you guessed it: this meal was paired with the Pirate life IPA. The IPA having a well balanced combination of malt and hops with a slight fruitiness helping cut through the richness of the beef cheek. 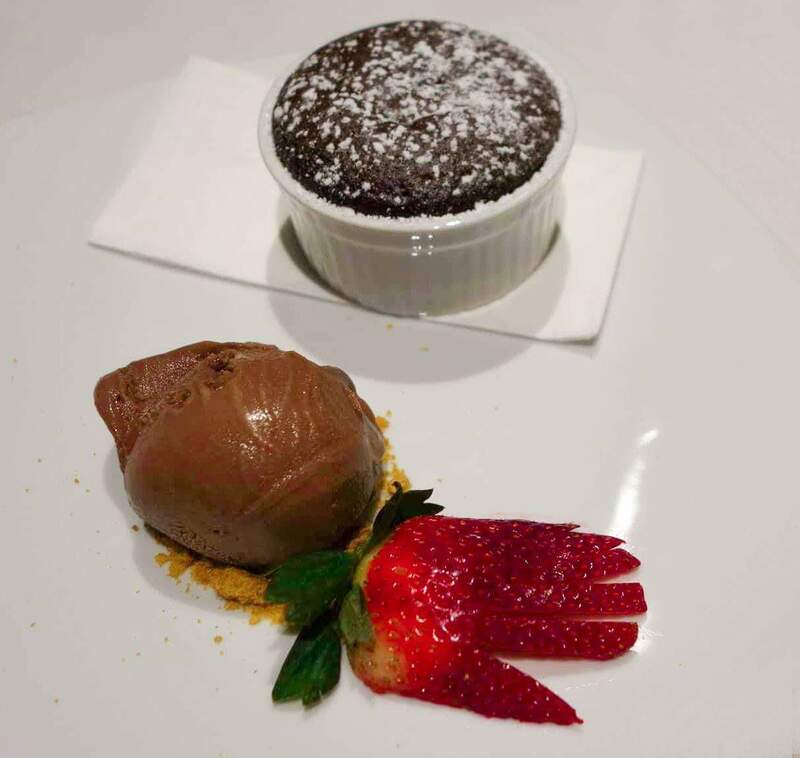 A soft gooey centred chocolate fondant, what better way to finish the meal? Well, combine this rich dessert with another level of richness from the Pirate Life stout, and you have yourself the perfect end to the pairing. 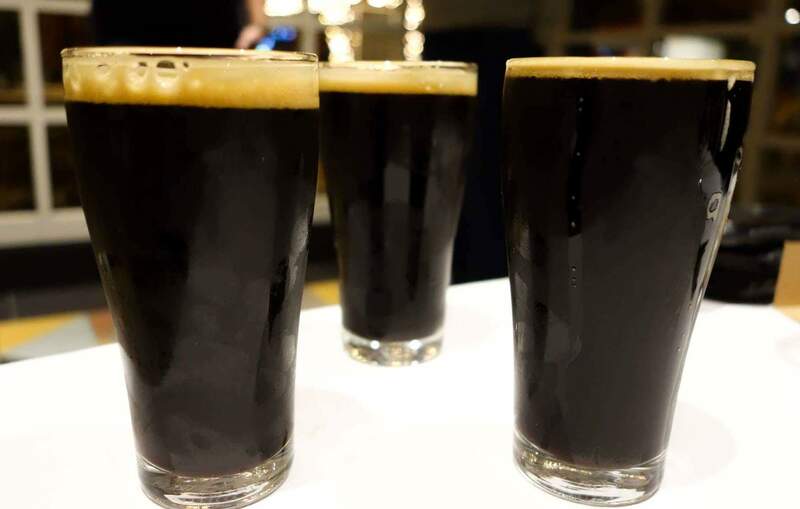 At 7.1% ABV, the stout is heavy on alcohol. Perfect for sipping and for savouring its chocolate maltiness. We would like to thank the guys at Pirate Life for doing what they do: producing quality beer. We will be sure to keep an eye out for Pirate Life to stock the fridge. A big thanks to The Oaks Hotel for their hospitality and for inviting us to enjoy a evening of delicious food and quality beer, with great company who shared a passion for beer. We will be keeping an eye out for the upcoming events including the Feral Brewing Co tap takeover, the Meat Masterclass and Whisky of the Worlds Masterclass.